1356. Gladys Edna "Gay"10 Wellendorf (Gladys Rachel Ione9 Peeters, Edna Leone8 Horst, John Adolph Edward7, Claus6, Gretje5 Gotsch, Paul4 Götsch, Gretje3, Peter2 Gotsch, Peter1) was born July 12, 1938 in Davenport, Iowa. Gladys Edna "Gay" married Thomas Andrew Black on June 4, 1960 in Austin, Texas. Thomas was born March 4, 1937 in Groesbeck, Texas. Thomas is the son of Andrew Leslie Black and Phedonia Outlaw. + 2002	i. Cynthia Susan Black11 Black, was born March 12, 1962. + 2003 ii. Theresa Elaine Black, was born May 27, 1963. 2004 iii. Elizabeth Dawn Black, was born October 27, 1965 in Dallas Texas. She married Christopher Freeman on January 8, 2008 in Cedar Park, Texas. + 2005 iv. Kimberly Gay Black, was born September 28, 1967. 2006 v. William Andrew Black, was born March 26, 1970 in Houston, Texas. 1657. Gary Fred10 Wellendorf (Gladys Rachel Ione9 Peeters, Edna Leone8 Horst, John Adolph Edward7, Claus6, Gretje5 Gotsch, Paul4 Götsch, Gretje3, Peter2 Gotsch, Peter1) was born October 10, 1940 in Davenport, Iowa. Gary Fred married Cheryl Beech. Cheryl was born January 3, 1943. Cheryl died February 8, 2002 in Hurst, Texas at 59 years of age. 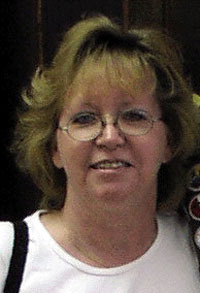 2007 i. Debra Diane11 Wellendorf, was born July 8, 1961 in Wichita, Kansas. 2008 ii. Kevin Wellendorf, was born August 1, 1962 in Wichita, Kansas. 1358. Paul Alvin10 Wellendorf (Gladys Rachel Ione9 Peeters, Edna Leone8 Horst, John Adolph Edward7, Claus6, Gretje5 Gotsch, Paul4 Götsch, Gretje3, Peter2 Gotsch, Peter1) was born June 29, 1946 in Davenport, Iowa. Paul died June 12, 2008 in Burleson, Texas at 61 years of age. His body was interred Pinehill Cemetery, Davenport Iowa. Paul Alvin married Betty West. 2009 i. Zachary Ahran11 Wellendorf, was born July 31, 1980 in Tarrant County, Texas. 0000. Kimberley Charles10 Hunter (Dorothy May 9 Göttsch, Heinrich Emil (Henry)8 Göttsch, Eduard Marcus7, Jochim6 Götsch, Hinrich5 Gotsch, Peter4 Götsch, Johan3, Peter2 Gotsch, Peter1) was born 1948 in Perth Western Australia. Kimberley Charles married Joy Peters in Perth Western Australia. 1359. Anthony Clement10 Ladiges (Mabel Irene9 Giddings, Helena Abeline (Lena)8 Göttsch, Eduard Marcus7, Jochim6 Götsch, Hinrich5 Gotsch, Peter4 Götsch, Johan3, Peter2 Gotsch, Peter1) was born June 5, 1937 in Nannup, Western Australia. Anthony died August 1, 1994 in Albany, Western Australia at 57 years of age. Anthony Clement married Joveniana "Ven" Pono on June 28, 1980 in Cebu, Philippines. Joveniana was born October 11, 1951 in Cebu, Philippines. 2010 i. Joanne May Pono11 Ladiges, was born June 12, 1981 in Albany, Western Australia. Joanne May Pono married Harry George Ray on October 6, 2007 in Albany, Western Australia. Harry George was born January 29, 1980 in Doncaster, England. 2011 ii. Annalee S. Ladiges, was born September 8, 1982 in Albany, Western Australia. 2012 iii. Carl Anthony Clement Ladiges, was born March 4, 1984 in Albany, Western Australia. 2013 iv. Amethyst Irene Pono Ladiges, was born April 7, 1993 in Albany, Western Australia. 1360. Philip Alfred10 Ladiges (Mabel Irene9 Giddings, Helena Abeline (Lena)8 Göttsch, Eduard Marcus7, Jochim6 Götsch, Hinrich5 Gotsch, Peter4 Götsch, Johan3, Peter2 Gotsch, Peter1) was born May 1940 in Western Australia. Philip Alfred married Mary Thomas. 2015 ii. Debra Mae Ladiges. 1361. Lynette Fay10 Ladiges (Mabel Irene9 Giddings, Helena Abeline (Lena)8 Göttsch, Eduard Marcus7, Jochim6 Götsch, Hinrich5 Gotsch, Peter4 Götsch, Johan3, Peter2 Gotsch, Peter1) was born September 29, 1943 in Guildford Western Australia. Lynette Fay married John Edward Mitchell. John was born August 29, 1932 in Norwood/Southall/Middlesex England. John died January 19, 1984 in Herefordshire England at 51 years of age. + 2016	i. Nicholas William11 Mitchell, was born March 28, 1969. 2017 ii. Samantha Kathleen (Pia) Mitchell, was born April 29, 1972. 1362. Leon10 Gottsch (Leo Edward9, Adolph Edward (Ted)8, Eduard Marcus7, Jochim6 Götsch, Hinrich5 Gotsch, Peter4 Götsch, Johan3, Peter2 Gotsch, Peter1) was born in Western Australia. Leon died 1998 in Western Australia. Leon married Unknown in Western Australia. 2018 i. Cody11 Gottsch, was born in Western Australia. 2019 ii. Jesse Gottsch, was born in Western Australia. 2020 iii. Caben Gottsch, was born in Western Australia. 1365. John10 Blyth (Viola P.9 Lange, Maud Matilda8 Gottsch, Eduard Marcus7, Jochim6 Götsch, Hinrich5 Gotsch, Peter4 Götsch, Johan3, Peter2 Gotsch, Peter1) was born May 21, 1940. John married Norma Mullineaux on April 4, 1964. Norma was born September 25, 1941. 2021 i. Stephen J.11 Blyth, was born February 7, 1965. 2022 ii. Kathryn M. Blyth, was born August 4, 1966. 2023 iii. Daryl J. Blyth, was born October 30, 1967. Daryl died March 20, 1982 at 14 years of age. 2024 iv. Deborah J. Blyth, was born June 22, 1969. 1366. Lois10 Blyth (Viola P.9 Lange, Maud Matilda8 Gottsch, Eduard Marcus7, Jochim6 Götsch, Hinrich5 Gotsch, Peter4 Götsch, Johan3, Peter2 Gotsch, Peter1) was born August 5, 1943. Lois married Wallace Whitney on April 13, 1968. Wallace was born May 5, 1934. 2025 i. Andrew W.11 Whitney was born May 17, 1970. 2026 ii. Justin Whitney, was born May 1972. 1367. Dan10 Blyth (Viola P.9 Lange, Maud Matilda8 Gottsch, Eduard Marcus7, Jochim6 Götsch, Hinrich5 Gotsch, Peter4 Götsch, Johan3, Peter2 Gotsch, Peter1) was born July 4, 1946. Dan married Bernice Trefort on March 16, 1968. Bernice was born July 30, 1949. 2027	i. Craig11 Blyth, was born May 22, 1970. 2028 ii. Ashley Blyth, was born January 14, 1972. 2029 iii. Kimberly Blyth, was born September 6, 1973. 1368. Andrew10 Blyth (Viola P.9 Lange, Maud Matilda8 Gottsch, Eduard Marcus7, Jochim6 Götsch, Hinrich5 Gotsch, Peter4 Götsch, Johan3, Peter2 Gotsch, Peter1) was born December 27, 1947. Andrew married Kathleen M. Borgas. Kathleen was born May 31, 1953. 2030 i. David J.11 Blyth, was born July 18, 1972. 2031 ii. Karen L. Blyth, was born March 20, 1974. 2032 iii. Robyn N. Blyth, was born September 9, 1979. 1369. Mari10 Blyth (Viola P.9 Lange, Maud Matilda8 Gottsch, Eduard Marcus7, Jochim6 Götsch, Hinrich5 Gotsch, Peter4 Götsch, Johan3, Peter2 Gotsch, Peter1) was born September 26, 1949. Mari married Raymond E. William April 20, 1968. 2033 i. Wayne11 William, was born October 12, 1968. + 2034 ii. Deanne P. William, was born October 19, 1969. 2035 iii. Christine L. William ,was born September 14, 1972. 1370. Timothy10 Blyth (Viola P.9 Lange, Maud Matilda8 Gottsch, Eduard Marcus7, Jochim6 Götsch, Hinrich5 Gotsch, Peter4 Götsch, Johan3, Peter2 Gotsch, Peter1) was born March 24, 1952. Timothy married Helen Standen on November 18, 1972. Helen was born January 16, 1955. 2037 ii. Shane Blyth, was born March 30, 1973. 2038 iii. Anthony Blyth, was born December 8, 1978. 1371. Lindsay10 Blyth (Viola P.9 Lange, Maud Matilda8 Gottsch, Eduard Marcus7, Jochim6 Götsch, Hinrich5 Gotsch, Peter4 Götsch, Johan3, Peter2 Gotsch, Peter1) was born May 23, 1954. Lindsay married Susan M. McLoughlin. Susan was born June 21, 1954. 2039 i. Mark L.11 Blyth, was born April 20, 1978. 2040 ii. Gregory M. Blyth, was born December 8, 1979. 2041 iii. Philip J. Blyth, was born March 3, 1982. 1372. Paul10 Blyth (Viola P.9 Lange, Maud Matilda8 Gottsch, Eduard Marcus7, Jochim6 Götsch, Hinrich5 Gotsch, Peter4 Götsch, Johan3, Peter2 Gotsch, Peter1) was born April 10, 1960. Paul married Josie Calabro on March 24, 1979. Josie was born September 17, 1960. 2042 i. Mathew P.11 Blyth, was born October 16, 1983. 2043 ii. Kristen L. Blyth (Twin), was born July 9, 1985. 2044 iii. Mischelle L. Blyth (Twin), was born July 9, 1985. 1378. Carole10 Bode (Doreen May9 Lange, Maud Matilda8 Gottsch, Eduard Marcus7, Jochim6 Götsch, Hinrich5 Gotsch, Peter4 Götsch, Johan3, Peter2 Gotsch, Peter1) was born December 28, 1960. Carole married twice. Carole married Peter Forrest. 2046 i. Brendan11 Conner was born July 9, 1983. Brendan married Antoniette Licciardello on March 11, 2006 in Donnybrook, Western Australia. 1379. Peter10 Bode (Doreen May9 Lange, Maud Matilda8 Gottsch, Eduard Marcus7, Jochim6 Götsch, Hinrich5 Gotsch, Peter4 Götsch, Johan3, Peter2 Gotsch, Peter1) was born April 18, 1962. 2047 i. Ashli11 Bode, was born June 3, 1991. 2048 ii. Jordan Bode, was born December 10, 1993. 1380. Daniel David10 Bode (Doreen May9 Lange, Maud Matilda8 Gottsch, Eduard Marcus7, Jochim6 Götsch, Hinrich5 Gotsch, Peter4 Götsch, Johan3, Peter2 Gotsch, Peter1) was born February 18, 1964. Daniel David married Noeleen Manoni on March 21, 1987 in Bunbury, Western Australia. Noeleen was born December 25, 1963 in Bunbury, Western Australia. 2050 i. Nathan Daniel11 Bode, was born April 14, 1990 in Bunbury, Western Australia. 2051 ii. Brandon Arnold Bode, was born March 17, 1993 in Port Hedland, Western Australia. 1383. Phyllis10 Schnack (Vera P.9 Witt, Alvina8 Goettsch, Heinrich7 Göttsch, Claus Hinrich6 Goettsch, Johann5 Gotsch, Hinrich4, Johan3 Götsch, Peter2 Gotsch, Peter1). Phyllis married twice. Phyllis married Gary Hansen. 1394. Duane Mark10 Goettsch (Howard Darrell9, Howard Claudius8, Heinrich7 Göttsch, Claus Hinrich6 Goettsch, Johann5 Gotsch, Hinrich4, Johan3 Götsch, Peter2 Gotsch, Peter1) was born September 10, 1960 in Albuquerque, New Mexico. 1397. Marsha10 Goettsch (Lyle Henry9, Walter8, Heinrich7 Göttsch, Claus Hinrich6 Goettsch, Johann5 Gotsch, Hinrich4, Johan3 Götsch, Peter2 Gotsch, Peter1) was born March 17, 1951. Marsha married Mark Witte on July 28, 1974. Mark was born May 12, 1951. 2056 i. Anne11 Witte, was born June 1, 1977. Anne married Aaron LaPoint on June 12, 2004. Aaron was born January 3, 1975. 2057 ii. Ellen Witte, was born June 25, 1983. 1398. Debra10 Goettsch (Lyle Henry9, Walter8, Heinrich7 Göttsch, Claus Hinrich6 Goettsch, Johann5 Gotsch, Hinrich4, Johan3 Götsch, Peter2 Gotsch, Peter1) was born November 26, 1952. Debra married Rocky Everly on October 5, 1985. Rocky was born September 1, 1957. 2058	i. Bo11 Everly , was born October 12, 2004 in China. 1399. Terri10 Goettsch (Lyle Henry9, Walter8, Heinrich7 Göttsch, Claus Hinrich6 Goettsch, Johann5 Gotsch, Hinrich4, Johan3 Götsch, Peter2 Gotsch, Peter1) was born November 10, 1955. Terri married David Bousselot on July 28, 1979. David was born January 22, 1953. 2059 i. Rachel11 Bousselot, was born February 27, 1980. + 2060 ii. Hannah Bousselot, was born March 22, 1983. 1400. Leonard10 Goettsch (Lyle Henry9, Walter8, Heinrich7 Göttsch, Claus Hinrich6 Goettsch, Johann5 Gotsch, Hinrich4, Johan3 Götsch, Peter2 Gotsch, Peter1) was born February 5, 1958. Leonard died January 1, 2005 at 46 years of age. Leonard married Lana Schroeder on September 6, 1980. Lana was born May 9, 1960. 2061 i. Amanda11 Goettsch, was born March 1, 1983. Amanda married Andrew Kahl on May 10, 2008. Andrew was born October 18, 1982. 2062 ii. Erin Goettsch, was born March 4, 1987. 1401. Lonny10 Goettsch (Lyle Henry9, Walter8, Heinrich7 Göttsch, Claus Hinrich6 Goettsch, Johann5 Gotsch, Hinrich4, Johan3 Götsch, Peter2 Gotsch, Peter1) was born October 8, 1963. Lonny married Leisha Steines on July 8, 1989. 2063	i. Leah2 Goettsch (Twin), was born November 3, 1990. 2064 ii. Lance Goettsch (Twin), was born November 3, 1990. 2065 iii. Logan Goettsch, was born January 15, 1992. 2066 iv. Landon Goettsch, was born June 8, 1993. 1402. Marilyn Jean10 King (Jean Alice9 Marten, Gladys8 Goettsch, Heinrich7 Göttsch, Claus Hinrich6 Goettsch, Johann5 Gotsch, Hinrich4, Johan3 Götsch, Peter2 Gotsch, Peter1) was born September 25, 1948. Marilyn Jean married twice. Marilyn Jean married Donald Pennock ca. 1964. Marilyn Jean married V. R. Thomas September 17, 1988. 2067 i. Laurie Kay11 Pennock, was born December 22, 1965. 2068 ii. Sherry Lynn Pennock, was born July 6, 1967. 2069 iii. 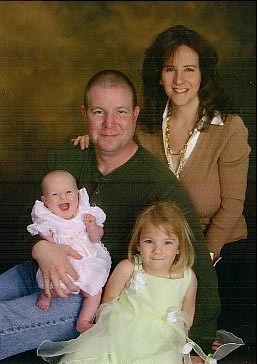 Kenneth Allen Pennock, was born March 25, 1969. 1403. Marjorie Ann10 King (Jean Alice9 Marten, Gladys8 Goettsch, Heinrich7 Göttsch, Claus Hinrich6 Goettsch, Johann5 Gotsch, Hinrich4, Johan3 Götsch, Peter2 Gotsch, Peter1) was born November 12, 1950. Marjorie Ann married DeWayne LaMaack. 2070	i. David DeWayne11 LaMaack, was born April 27, 1968. 2071 ii. Mindy Ann LaMaack, was born January 8, 1973. 1404. Maxine Janice10 King (Jean Alice9 Marten, Gladys8 Goettsch, Heinrich7 Göttsch, Claus Hinrich6 Goettsch, Johann5 Gotsch, Hinrich4, Johan3 Götsch, Peter2 Gotsch, Peter1) was born July 30, 1954. Maxine Janice married twice. Maxine Janice married James Parker June 28, 1974. Maxine Janice married James Baker August 15, 1985. 2072 i. Scott Michael11 Baker, was born February 14, 1977. 2073 ii. Eric Jamers Baker, was born April 15, 1987. 1405. Marsha Jo10 King (Jean Alice9 Marten, Gladys8 Goettsch, Heinrich7 Göttsch, Claus Hinrich6 Goettsch, Johann5 Gotsch, Hinrich4, Johan3 Götsch, Peter2 Gotsch, Peter1) was born June 28, 1957. 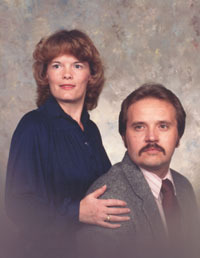 Marsha Jo married Pat "HB" Foster before 1982. 2074	i. Jessica Jo11 Foster, was born February 15, 1982. 2075 ii. Jacob Paul Foster, was born September 6, 1986. 1406. Myla Joyce10 King (Jean Alice9 Marten, Gladys8 Goettsch, Heinrich7 Göttsch, Claus Hinrich6 Goettsch, Johann5 Gotsch, Hinrich4, Johan3 Götsch, Peter2 Gotsch, Peter1) was born February 10, 1965. Myla Joyce married twice. Myla Joyce married Joseph Foy November 12, 1983. Myla Joyce married James Alan Olson June 18, 1988. 2076 i. Mandy Michelle11 (King) Olson, was born March 8, 1981. 2077 ii. Sara Jean Foy, was born January 8, 1985. 2078 iii. Kasey Lynn Foy, was born July 3, 1986. 1419. Patricia10 Anderson (Alice E.9 Gottsch, William Henry8, Frederick Charles J.7, Carl (Charles) Frederick6 Gøttsch, Claus5 Gotsch, Hinrich4, Johan3 Götsch, Peter2 Gotsch, Peter1) was born November 2, 1938 in Omaha, Nebraska. Patricia married William R. Buckmaster on April 6, 1957 in Omaha, Nebraska. William was born April 6, 1937 in Prince Frederick, Maryland. William is the son of William and Mary Buckmaster. William died on July 28, 2018 in Ithaca, Nebraska at 81 years of age. M-SGT William “Bill” R. Buckmaster (AF-Retired), 81, of Ithaca, NE, died Saturday, July 28, 2018 at his home in Ithaca, NE. He was born April 6, 1937 in Prince Frederick, MD to William M. and Mary E. (Gibson) Buckmaster. 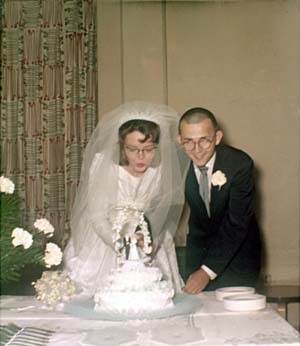 On April 6, 1957, Bill was married to Patricia J. Anderson at First English Lutheran Church in Omaha, NE. 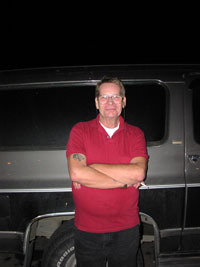 Bill served his country for 23 years in the U.S. Air Force and U.S. Air Force Reserves. During his time in the Reserves, he also was an insurance salesman for several insurance companies. Bill enjoyed bowling, gardening, classic automobiles and badminton. He was a member of the Top Flight Badminton Club in the Air Force. Bill was a natural athlete and he excelled at everything he participated in. 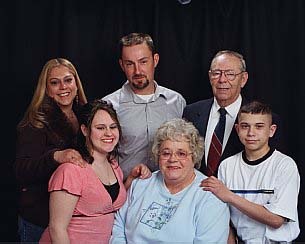 He is survived by wife of 61 years, Patricia Buckmaster; children, Diane (Mark) Braun and Jeff (Erin) Buckmaster; grandchildren, Cassandra (Kyle), Joshua (Rylea), Kayla, Micah, Kelsie, Holly and Jeanine; great-grandchildren, Ryan, Crystal, Victor, Marcus, Bram and Liam; brother, Samuel (Norma) Buckmaster; sister, Anne (Earl) Hutchins. He was preceded in death by parents, William M. and Mary Buckmaster; sisters, Lucille Buckmaster, Rose Marie Howard and Della Pile; brothers, John Edward Buckmaster and Robert Buckmaster. + 2079 i. Diane11 Buckmaster, was born August 16, 1966. + 2080 ii. Jeffrey Alan Buckmaster, was born May 5, 1970. 1420. Theodore Manley10 Anderson III (Alice E.9 Gottsch, William Henry8, Frederick Charles J.7, Carl (Charles) Frederick6 Gøttsch, Claus5 Gotsch, Hinrich4, Johan3 Götsch, Peter2 Gotsch, Peter1)was born September 7, 1942 in Omaha, Nebraska. Theodore Manley died on March 11, 2014 at 71 years of age. Theodore Manley Anderson III, 71 of Council Bluffs, IA, formerly of Ithaca, NE, passed away March 11, 2014 at Bergan Mercy Medical Center in Omaha, NE. He was born on September 7, 1942 in Omaha, NE to Theodore M. and Alice (Gottsch) Anderson. Ted attended Benson High School in Omaha and graduated from Southeast Community College with an Associate Degree. He was a bus driver for the City of Lincoln for several years. Through the years, he also worked as a salesman selling the Bible, insurance, and Lincoln Journal Star subscriptions. Ted was an outdoorsman that enjoyed hunting, fishing, and camping. He was an excellent artist and he was very smart. He always showed his knowledge while watching Jeopardy. Most of all, Ted loved his dogs. He is survived by daughter, Sheri (Craig) Schuetze of Council Bluffs, IA; son, Theodore M. Anderson IV of Phoenix, AZ; grandchildren, Ethan and Allie Schuetze; sisters, Pat (Bill) Buckmaster of Ithaca and Lanine Aken of Noel, MO; many nieces and nephews; close friend, Mark Meyer of Council Bluffs, IA. Preceded in death by daughter, Christie Jean Anderson; mother and step-father, Alice and Frank Pearson; niece, Debbie Gillette; father, Theodore M. Anderson II. Pallbearers are Craig Schuetze, Josh Buckmaster, Mark Meyer, Jeff Buckmaster, Mark Braun, Kyle McAuliffe and Phillip Aken. Theodore Manley married twice. 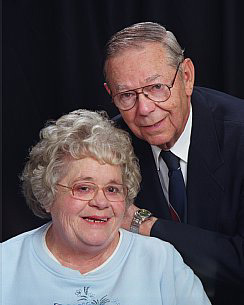 Theodore Manley married Linda Harris. Theodore Manley married Rhonda Anne Francisco on March 2, 1983 in Wahoo, Nebraska. 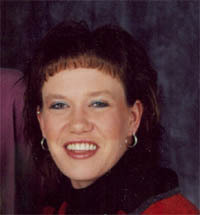 + 2081 i. Sheri11 Anderson, was born April 11, 1967 in Omaha, Nebraska. 2082 ii. Theodore Manley Anderson IV, was born August 3, 1972 in Omaha, Nebraska. 2083 iii. Christie Anderson, was born in New Orleans, Louisianna. Christie died from SID's in 1973 in New Orleans, Louisianna at less than one year of age. 1421. Lanine Sue10 Pearson (Alice E.9 Gottsch, William Henry8, Frederick Charles J.7, Carl (Charles) Frederick6 Gøttsch, Claus5 Gotsch, Hinrich4, Johan3 Götsch, Peter2 Gotsch, Peter1)was born February 25, 1954 in Omaha, Nebraska. Lanine Sue married four times. Lanine Sue married Robert L. Whitney on December 9, 1972 in Omaha, Nebraska. Lanine Sue married Mark A. Aken on August 3, 1974 in Council Bluffs, Iowa. Lanine Sue then married Joseph T. Maker on January 14, 1983 in Wahoo, Nebraska. Lanine Sue remarried Mark A. Aken on August 23, 1987 in Yankton, South Dakota. + 2084 i. Phillip David11 Whitney (Aken), was born June 16, 1973. + 2085 ii. Pamela Sue Aken, was born January 28, 1975. 1422. William R.10 Gottsch (William Charles Fred9, Willam Henry8, Frederick Charles J.7, Carl (Charles) Frederick6 Gøttsch, Claus5 Gotsch, Hinrich4, Johan3 Götsch, Peter2 Gotsch, Peter1) was born September 6, 1945 in Omaha, Nebraska. William R. married twice. William R. married Lynnelle Elaine Beavers on January 27, 1964 in Omaha, Nebraska. Lynnelle was born December 24, 1948 Omaha, Nebraska. Lynnelle is the daughter of Carl and Dorothy Beavers. William and Lynnelle were divorced on January 27, 1967. She married Morris Bergman in Omaha, Nebraska, 1967. William R. married Suzanne Timberman on June 1, 1974 in Oakland, Iowa. Suzanne was born April 1, 1951 in Council Bluffs, Iowa. Suzanne is the daughter of William Richard Timberman and Neuonia Arlene Hotze. + 2086 i.	Deanna Lynne11 (Gottsch) Bergman, was born April 13, 1965. + 2087 ii. William Jerad Gottsch, was born October 16, 1984. 1423. Danna Lou10 Gottsch (William Charles Fred9, William Henry8, Frederick Charles J.7, Carl (Charles) Frederick6 Gøttsch, Claus5 Gotsch, Hinrich4, Johan3 Götsch, Peter2 Gotsch, Peter1) was born August 2, 1947 in Omaha, Nebraska. Danna died November 19, 2003 in Phoenix, Arizona at 56 years of age. Danna Lou then married Jeffrey Paul Bevan on November 27, 1993 in Phoenix, Arizona. Jeffrey was born July 12, 1947. Jeffrey is the son of James Anderson Bevan and Katherne Elizebeth Young. Danna Lou Gottsch Bevan was born August 2, 1947 in Omaha, Nebraska. She died November 19, 2003 in Phoenix, Arizona at 56 years of age. She was the second of six children born to William C. and Lois Jean Burgett Gottsch. Her parents, grandparents, Ralph and Effie Burgett, William H. and Grace Gottsch and two brothers, James and Timothy preceded her in death. 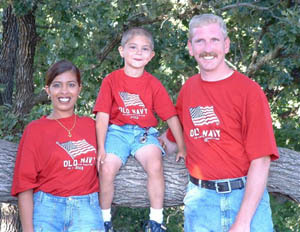 Danna was raised and lived in Omaha until 1989 when she moved to Phoenix to be close to her children, Tammy and Michael. In 1993, she met her beloved husband Jeffrey and they were married on November 27, 1993. In 2001, Danna was diagnosed with breast cancer. She underwent surgery and chemotherapy and was cancer free for over a year. In February of 2003 the cancer returned and metastasized in her lungs. Through all the adversity she maintained a positive outlook and never gave up hope for recovery. Danna requested that her remains be cremated so she could be close to her family in death. 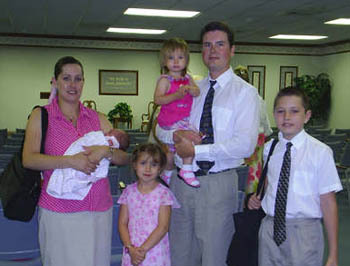 Danna is survived by her husband, Jeffrey; daughter, Tammy Sue Everts; son and daughter-in-law, Michael and Lainie Everts; stepsons and daughter-in-laws, Darryl and Becky Bevan and Jeffrey and Mona Bevan; brother and sister-in-law William and Suzanne Gottsch; sisters and brother-in-laws, Debra and Scott Baum and Elaine and Paul Bullock; half brother and sister-in-law, Joseph and Jennifer Gottsch; two grandchildren, Justin Schimmer and Caitlin Court; five step-grandchildren, Kira Bevan, Joshua Bevan, Jeffrey Bevan, Sierra Bevan and Kala Bevan; seven nephews, William J. Gottsch, Adam Baum, James Hinton, Chad Bullock, Beau Bullock, Sean-Paul Bullock; seven nieces, Deanna McIntosh, Shelly Montgomery, Keli Baum, Cheri Bullock, Briar Bullock, Lauren Gottsch and Alexandria Gottsch; five grandnieces, Jennifer Bergman, Calen Bergman, Justine Young, Kelsey Scott and Stacy Montgomery; one great grandniece, Lexas Ely and many friends. Danna Lou married twice. Danna Lou first married Michael Edward Everts on February 21, 1967 in Stanford, Florida. Michael was born in Dayton, Ohio. Michael is the son of Michael Max Everts and Norma E. Everts. + 2088 i.	Tammy Sue11 Everts, was born October 17, 1963. + 2089	ii. Michael Todd Everts, was born December 7, 1967 in Omaha, Nebraska. 1424. Debra Lee10 Gottsch (William Charles Fred9, William Henry8, Frederick Charles J.7, Carl (Charles) Frederick6 Gøttsch, Claus5 Gotsch, Hinrich4, Johan3 Götsch, Peter2 Gotsch, Peter1) was born February 20, 1953 in Omaha, Nebraska. Debra Lee married Melvin Scott Baum on January 15, 1972 in Omaha, Nebraska. Melvin was born August 31, 1951 in Oklahoma. + 2090	i.	Shelly Marie11 Baum, was born July 31, 1972. 2091 ii. Keli Renee Baum, was born January 5, 1978 in Omaha, Nebraska. 2092 iii. Adam Scott Baum, was born June 17, 1993 in Omaha, Nebraska. 1425. Elaine Kay10 Gottsch (William Charles Fred9, William Henry8, Frederick Charles J.7, Carl (Charles) Frederick6 Gøttsch, Claus5 Gotsch, Hinrich4, Johan3 Götsch, Peter2 Gotsch, Peter1) was born December 27, 1954 in Omaha, Nebraska. Elaine Kay married twice. 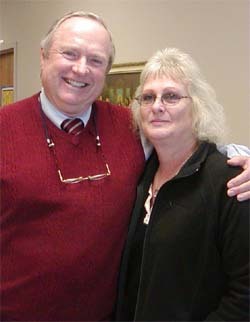 Elaine Kay married James Hinton in 1972 in Omaha, Nebraska. Elaine Kay married Paul Allen Bullock in 1978 in Omaha, Nebraska. Paul was born July 4, 1947 in St. Louis, Missouri. He is the son of Thomas Allen Bullock and Jeannie Massie. 2093	i.	Jim W.11 Hinton, was born May 9, 1973 in Omaha, Nebraska. 2094	ii. Cheri Jean Bullock, was born October, 15, 1979 in Omaha, Nebraska. 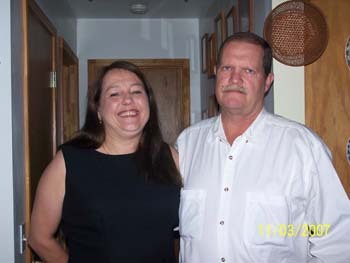 Cheri Jean married Nicholas Powell on September 9, 2008. + 2095	iii. Chad Massie Bullock, was born April 7, 1983 in Tacoma, Washington. 2096	iv. Beau Allen Bullock, was born August 8, 1984 in Tacoma, Washington. 2097 v.	Sean-Paul Massie Bullock, was born June 26, 1987 in Olympia, Washington. 2098	vi. Briar Lynn Bullock, was born August 9, 1994 in Tacoma, Washington. 1428. Joseph Paul10 Gottsch (William Charles Fred9, William Henry8, Frederick Charles J.7, Carl (Charles) Frederick6 Gøttsch, Claus5 Gotsch, Hinrich4, Johan3 Götsch, Peter2 Gotsch, Peter1) was born 1971 in Omaha, Nebraska. Joseph married Jennifer Unknown in Florida. 2099	i.	Lauren Ashley11 Gottsch, was born 1995 in LeHigh Acres, Florida. 2100	ii. Alexandria Gottsch, was born 1998 in LeHigh Acres, Florida. 1431. Linda Sue10 Christensen (Robert Earl9, Henrietta8 Gottsch, Emil Johannes7 Göttsch, Friedrich Johann Christian6 Goettsche, Johann5 Gotsch, Hinrich4, Johan3 Götsch, Peter2 Gotsch, Peter1) was born October 26, 1954 in Blair, Nebraska. Linda Sue married Robert Kenneth Dietzen on October 16, 1976 in Denver, Colorado. + 2101 i. Michael Jeffrey11 Dietzen, was born February 24, 1978 in Westminister, Colorado. + 2102 ii. Suzanne Marie Dietzen, was born July 15, 1980 in Denver, Colorado. 2103 iii. John Joseph Deitzen, was born May 8, 1982 in Denver, Colorado. 1432. Jon Robert10 Christensen (Robert Earl9, Henrietta8 Gottsch, Emil Johannes7 Göttsch, Friedrich Johann Christian6 Goettsche, Johann5 Gotsch, Hinrich4, Johan3 Götsch, Peter2 Gotsch, Peter1) was born April 15, 1957 in Blair, Nebraska. Jon Robert married Teresa Robin Edgar on March 7, 1981 in Westminister, Colorado. Teresa was born September 22, 1959 in Fostoria, Ohio. Teresa is the daughter of Stanley Robert Edgar and Janice Karen Clabaugh. 2105 i. Zoya Elise11 Christensen, was born March 29, 1994. 1439. Sandra Sue10 Andersen (Barbara Elizabeth9 Gottsch, Herbert Julius8, Emil Johannes7 Göttsch, Friedrich Johann Christian6 Goettsche, Johann5 Gotsch, Hinrich4, Johan3 Götsch, Peter2 Gotsch, Peter1) was born May 11, 1963 in Omaha, Nebraska. Sandra Sue married 2nd Lieutenant Dane Kucera, USMC on May 17, 1986 in Omaha, Nebraska. 2106 i. Justus11 Kucera, was born March 8, 1999 in Omaha, Nebraska. 1440. Lori Lynn10 Andersen (Barbara Elizabeth9 Gottsch, Herbert Julius8, Emil Johannes7 Göttsch, Friedrich Johann Christian6 Goettsche, Johann5 Gotsch, Hinrich4, Johan3 Götsch, Peter2 Gotsch, Peter1) was born in Omaha, Nebraska January 11, 1967. Lori Lynn married Darin Jay Armstrong on June 2, 1990 in Bennington, Nebraska. Darin was born May 5, 1966 in Great Falls, Montana. Darin is the son of Dr. Douglas Armstrong, DVM and Janet Pearson. 2107 i. Barbara Elizabeth11 Armstrong, was born July 17, 2002 in Omaha, Nebraska. 2108 ii. Ella Katherine Armstrong, was born December 29, 2005 in Omaha, Nebraska. 1441. Debbie10 Gottsch (Gerald Herbert9, Herbert Julius8, Emil Johannes7 Göttsch, Friedrich Johann Christian6 Goettsche, Johann5 Gotsch, Hinrich4, Johan3 Götsch, Peter2 Gotsch, Peter1) was born September 11, 1957 in Omaha, Nebraska. Debbie married Michael Carl Almquist on April 2, 1977 in Bennington, Nebraska. Michael was born December 18, 1955 in Clarinda, Iowa. Michael is the son of Howard Almquist and Phyllis Wram. 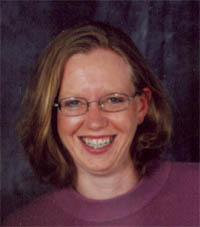 2109 i. Sheri Lyn11 Almquist, was born February 20, 1980 in Omaha, Nebraska. 2110 ii. Bradley Michael Almquist, was born April 3, 1984 in Omaha, Nebraska. 1442. Robert Gerald10 Gottsch (Gerald Herbert9, Herbert Julius8, Emil Johannes7 Göttsch, Friedrich Johann Christian6 Goettsche, Johann5 Gotsch, Hinrich4, Johan3 Götsch, Peter2 Gotsch, Peter1) was born September 12, 1958 in Omaha, Nebraska. Robert Gerald married Christi Lee Ward on September 23, 1978 in Bennington, Nebraska. Christi was born September 22, 1960 in McCook, Nebraska. 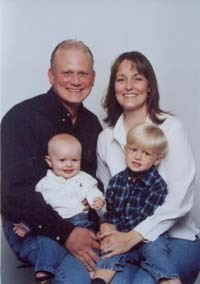 Christi is the daughter of Garry Ward and Connie Rucker. 2111 i. Nichole Marie11 Gottsch, was born March 20, 1980 in Omaha, Nebraska. 2112 ii. Matthew Robert Gottsch, was born January 27, 1983 in Omaha, Nebraska. 1450. Merrie Corrine10 Claridge (Gordon Louis9, Earline Mae8 Gottsch, Emil Johannes7 Göttsch, Friedrich Johann Christian6 Goettsche, Johann5 Gotsch, Hinrich4, Johan3 Götsch, Peter2 Gotsch, Peter1) was born September 16, 1972 in Panorama City, California. Merrie Corrine married Edward Andrew Mora on October 6, 2001 in Irvine, California. Edward Andrew was born November 24, 1971 in Los Angeles, California. 2113	i.	Ava Carolina11 Mora, was born November 30, 2005 in Newport Beach, California. 2114	ii. Nicolas Armand Mora, was born August 13, 2007 in Newport Beach, California. 1453. Peggy Ann10 Desler (Robert John9, Alma Julianna8 Gottsch, Heinrich Julius7 Göttsch, Friedrich Johann Christian6 Goettsche, Johann5 Gotsch, Hinrich4, Johan3 Götsch, Peter2 Gotsch, Peter1) was born December 15, 1954 in Yutan, Nebraska. Peggy Ann married Charles Henderson Seaman. Charles was born December 27, 1955 in Chicago, Illinois. 2115 i. Kelly Ann11 Seaman, was born April 15, 1977 in Fremont, Nebraska. 2116 ii. Kasey Nicole Seaman, was born November 6, 1978 in Fremont, Nebraska. 1454. Kathy Rae10 Desler (Robert John9, Alma Julianna8 Gottsch, Heinrich Julius7 Göttsch, Friedrich Johann Christian6 Goettsche, Johann5 Gotsch, Hinrich4, Johan3 Götsch, Peter2 Gotsch, Peter1) was born August 29, 1956 in Yutan, Nebraska. Kathy Rae married Robert Scott Dixon. Robert was born September 30, 1957 in Blair, Nebraska. 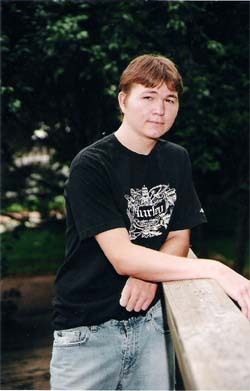 2117 i. Nathan Anthony11 Dixon, was born November 2, 1978 in Fremont, Nebraska. 2118 ii. Katie Rae Dixon, was born July 30, 1981 in Salina, Kansas. 2119 iii. Spencer Scott Dixon, was born December 4, 1986 in Salina, Kansas. 1455. Curtis Allen10 Desler (Robert John9, Alma Julianna8 Gottsch, Heinrich Julius7 Göttsch, Friedrich Johann Christian6 Goettsche, Johann5 Gotsch, Hinrich4, Johan3 Götsch, Peter2 Gotsch, Peter1) was born July 6, 1960 in Fremont, Nebraska. Curtis Allen married Susan Kay Paulson. Susan was born January 3, 1960 in Fremont, Nebraska. 2120 i. MacKenzie Helen11 Desler, was born November 5, 1978 in Fremont, Nebraska. 2121 ii. Jesse Curtis Desler, was born March 23, 1985 in Fremont, Nebraska. Jesse Curtis married Betty Jean Haviland. Betty was born in Lincoln, Nebraska. 1457. Michael Duane10 Gottsch (Duane Emil9, Emil Frederick8, Heinrich Julius7 Göttsch, Friedrich Johann Christian6 Goettsche, Johann5 Gotsch, Hinrich4, Johan3 Götsch, Peter2 Gotsch, Peter1) was born July 13, 1955 in Akron, Ohio. Michael Duane married Veronica Ludt. 2122 i. William Henry11 Gottsch. 2123 ii. Andrew Michael Gottsch. 2124 iii. Veronica Marie Gottsch. 1458. Joseph Maynard10 Gottsch (Duane Emil9, Emil Frederick8, Heinrich Julius7 Göttsch, Friedrich Johann Christian6 Goettsche, Johann5 Gotsch, Hinrich4, Johan3 Götsch, Peter2 Gotsch, Peter1) was born August 5, 1956 in York, Pennsylvania. Joseph Maynard married Wanda Mae Wallick. 2125 i. Clinton Joseph11 Gottsch, was born January 6, 1978 in York, Pennsylvania. + 2126 ii. Travis Michael Gottsch, was born April 27, 1979 in York, Pennsylvania. 2127 iii. Lauren Marie Gottsch, was born August 31, 1984 in York, Pennsylvania. 2128 iv. Joseph Duane Gottsch, was born July 26, 1989 in York, Pennsylvania. 2129 v. Jeremy Gregory Gottsch, was born October 25, 1993 in York, Pennsylvania. 1459. Michele Maria10 Gottsch (Duane Emil9, Emil Frederick8, Heinrich Julius7 Göttsch, Friedrich Johann Christian6 Goettsche, Johann5 Gotsch, Hinrich4, Johan3 Götsch, Peter2 Gotsch, Peter1) was born March 1, 1958 in York, Pennsylvania. Michele Maria married Terry Liddick on May 15, 1982 in Pennsylvania. 1460 Janelle Clara10 Gottsch (Duane Emil9, Emil Frederick8, Heinrich Julius7 Göttsch, Friedrich Johann Christian6 Goettsche, Johann5 Gotsch, Hinrich4, Johan3 Götsch, Peter2 Gotsch, Peter1) was born May 15, 1959 in York, Pennsylvania. Janelle Clara married Rodney Whirley. 2132 i. Natalie Marie11 Whirley. 2133 ii. Lindsey Anne Whirley. 1461. Gregory Emil10 Gottsch (Duane Emil9, Emil Frederick8, Heinrich Julius7 Göttsch, Friedrich Johann Christian6 Goettsche, Johann5 Gotsch, Hinrich4, Johan3 Götsch, Peter2 Gotsch, Peter1) was born February 22, 1962 in York, Pennsylvania. 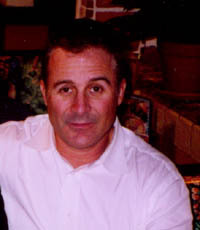 Gregory Emil married Denise Drago. 2134 i. Andrea Noelle11 Gottsch. 2136 iii. Anna Marie Gottsch. 1462. Felicia Ann10 Gottsch (Duane Emil9, Emil Frederick8, Heinrich Julius7 Göttsch, Friedrich Johann Christian6 Goettsche, Johann5 Gotsch, Hinrich4, Johan3 Götsch, Peter2 Gotsch, Peter1) was born November 15, 1965 in York, Pennsylvania. Felicia Ann married Robert Todd Mathews. 2137 i. Brian Robert11 Mathews. 2138 ii. Phillip Andrew Mathews. 2139 iii. Jordon Evan Mathews. 1466. Steven James10 Veillella (Joan Ester9 Gottsch, Otto Herman8, Heinrich Julius7 Göttsch, Friedrich Johann Christian6 Goettsche, Johann5 Gotsch, Hinrich4, Johan3 Götsch, Peter2 Gotsch, Peter1) was born February 9, 1951. Steven James married Teresa Unknown. 2142 i. Shannon11 Veillella, was born December 11, 1974. Shannon married Gina Unknown. 1468. Thomas Joseph10 Gargano (Beverly Carol9 Gottsch, Otto Herman8, Heinrich Julius7 Göttsch, Friedrich Johann Christian6 Goettsche, Johann5 Gotsch, Hinrich4, Johan3 Götsch, Peter2 Gotsch, Peter1) was born October 1, 1958. Thomas Joseph married Mindy Gargano. Mindy was born December 16, 1957. 2143 i. Tommy11 Gargano, was born July 15, 1984. 2144 ii. Timmy Gargano, was born January 18, 1986. 2145 iii. Jennifer Gargano, was born March 9, 1992. 2146 iv. Jessica Gargano, was born February 4, 1994. 1469. Terrance Lee10 Gargano (Joan Ester9 Gottsch, Otto Herman8, Heinrich Julius7 Göttsch, Friedrich Johann Christian6 Goettsche, Johann5 Gotsch, Hinrich4, Johan3 Götsch, Peter2 Gotsch, Peter1) was born January 13, 1961. Terrance married Linda Unknown. Linda was born April 3, 1962. 2147 i. Nicole11 Gargano, was born September 3, 1992. 1471. Jacqueline Ann10 Gargano (Joan Ester9 Gottsch, Otto Herman8, Heinrich Julius7 Göttsch, Friedrich Johann Christian6 Goettsche, Johann5 Gotsch, Hinrich4, Johan3 Götsch, Peter2 Gotsch, Peter1) was born February 5, 1965. Jacqueline Ann married Patrick English. Patrick was born December 18, 1960. 2148 i. Ashley11 English (Twin), was born June 23, 1995. 2149 ii. Mitchell English (Twin), was born June 23, 1995. 1472. Joseph Allen10 Gottsch (Lawrence Allen9, Raymond Christopher8, Heinrich Julius7 Göttsch, Friedrich Johann Christian6 Goettsche, Johann5 Gotsch, Hinrich4, Johan3 Götsch, Peter2 Gotsch, Peter1) was born 1959. Joseph Allen married Kim Erbes. 2150 i. Raymond Lawrence11 Gottsch. 2153 iv. Jennifer Gottsch, was born 1985. 1474. Jeffrey Donald10 Gottsch (Lawrence Allen9, Raymond Christopher8, Heinrich Julius7 Göttsch, Friedrich Johann Christian6 Goettsche, Johann5 Gotsch, Hinrich4, Johan3 Götsch, Peter2 Gotsch, Peter1) was born 1961. 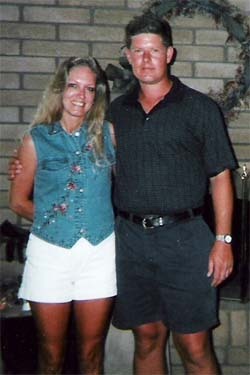 Jeffrey Donald married Cynthia Denise Anderson 1992. 2154 i. Kyle Christopher11 Gottsch, was born 1994. 2155	ii. Cody Austin Gottsch, was born 1996. 2156 iii. Travis James Gottsch, was born 1998. 2157 iv. Gabriel Michael Gottsch, was born 2003. 2158 v. Jared John-Paul Gottsch, was born 2006. 1475. Patrick Robert10 Gottsch (Lawrence Allen9, Raymond Christopher8, Heinrich Julius7 Göttsch, Friedrich Johann Christian6 Goettsche, Johann5 Gotsch, Hinrich4, Johan3 Götsch, Peter2 Gotsch, Peter1) was born 1965. Patrick Robert married Stephanie Redhouse in 1992. Stephanie was born 1966. 2159 i. Alexandria Madeline11 Gottsch, was born 1993. 2160 ii. Rachael Marie Gottsch, was born 1996. 2161 iii. Brittany Jae Gottsch, was born 1999. 2162 iv. Gabrielle Grace Gottsch, was born 2002. 1476. Susan Lorraine10 Gottsch (Lawrence Allen9, Raymond Christopher8, Heinrich Julius7 Göttsch, Friedrich Johann Christian6 Goettsche, Johann5 Gotsch, Hinrich4, Johan3 Götsch, Peter2 Gotsch, Peter1) was born 1967. 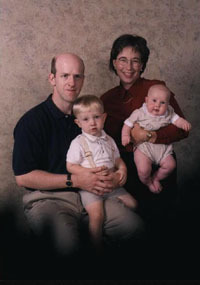 Susan Lorraine married Tim Andrew Brighouse in 1991. Tim was born 1964. 2163 i. Emily Rose11 Brighouse, was born 1998. 2164 ii. Mitchell Lawrence Brighouse, was born 2003. 1477. Mark Robert10 Hopman (Marlene Helen9 Gottsch, Raymond Christopher8, Heinrich Julius7 Göttsch, Friedrich Johann Christian6 Goettsche, Johann5 Gotsch, Hinrich4, Johan3 Götsch, Peter2 Gotsch, Peter1) was born 1964. Mark Robert married Suzan Riley in 1991. Suzan was born in 1962. 2165	i.	Samantha11 Hopman, was born 1994. 2166	ii. Matthew Hopman, was born 1995. 2167	iii. Sabrina Hopman, was born 1999. 1478. Teresa Anne10 Hopman (Marlene Helen9 Gottsch, Raymond Christopher8, Heinrich Julius7 Göttsch, Friedrich Johann Christian6 Goettsche, Johann5 Gotsch, Hinrich4, Johan3 Götsch, Peter2 Gotsch, Peter1) was born 1965. 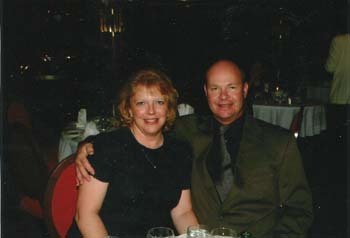 Teresa Anne married Cliff Daryl Thurman in 1998. Cliff Daryl was born in 1968. 2168	i.	Madeline Anne11 Thurman, was born 2001. 2169	ii. Robert Quentin Thurman, was born 2004. 1480. Marcy Lynn10 Foreman (Carolyn Frances9 Vasku, Verna Catherine8 Gottsch, Heinrich Julius7 Göttsch, Friedrich Johann Christian6 Goettsche, Johann5 Gotsch, Hinrich4, Johan3 Götsch, Peter2 Gotsch, Peter1) was born November 21, 1962. Marcy Lynn married Michael Sadousky. Michael was born March 8, 1961. 2170 i. Natasha Lynn11 Sadousky, was born December 23, 1985. 2171 ii. Christopher Michael Sadousky, was born August 11, 1987. 1481. Shawn Louis10 Foreman (Carolyn Frances9 Vasku, Verna Catherine8 Gottsch, Heinrich Julius7 Göttsch, Friedrich Johann Christian6 Goettsche, Johann5 Gotsch, Hinrich4, Johan3 Götsch, Peter2 Gotsch, Peter1) was born January 10, 1964. Shawn Louis married Ernestine Silvia. Ernestine was born September 3, 1963. 2172 i. Jeremy11 Foreman, was born February 19, 1985. 1482. Dawn Renee10 Foreman (Carolyn Frances9 Vasku, Verna Catherine8 Gottsch, Heinrich Julius7 Göttsch, Friedrich Johann Christian6 Goettsche, Johann5 Gotsch, Hinrich4, Johan3 Götsch, Peter2 Gotsch, Peter1) was born March 29, 1972. Dawn Renee married Timothy Allen Dingess. Timothy was born February 16, 1963. 2173 i. Katlyn Nichole11 Dingess, was born February 10, 1993. 2174 ii. 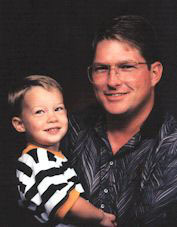 Corey Allen Dingess, was born September 1994. 1491. Bobbie Jo10 Wheeler (Leare Sophie9 Gottsch, LeRoy Peter8, Heinrich Julius7 Göttsch, Friedrich Johann Christian6 Goettsche, Johann5 Gotsch, Hinrich4, Johan3 Götsch, Peter2 Gotsch, Peter1) was born March 7, 1966 in Lima, Ohio. Bobbie Jo married twice. Bobbie Jo married Scott Worsham. Scott was born in Lima, Ohio. Bobbie Jo married Sean Stark. 2175 i. Rio Blair11 Worsham, was born February 8, 1987 in Lima, Ohio. 2176 ii. Jared Alexander Sinclair Stark, was born July 26, 1993 in Columbus, Ohio. 1492. Jodie Lynette10 Wheeler (Leare Sophie9 Gottsch, LeRoy Peter8, Heinrich Julius7 Göttsch, Friedrich Johann Christian6 Goettsche, Johann5 Gotsch, Hinrich4, Johan3 Götsch, Peter2 Gotsch, Peter1) was born September 25, 1973 in Lima, Ohio. Jodie Lynette married three times. Jodie Lynette married Frank Robinson. 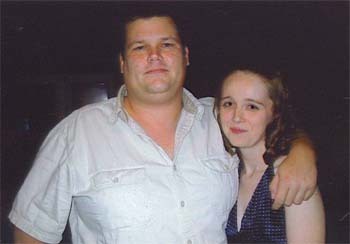 Jodie Lynette married Travis Michel. Jodie Lynette married Andrew W. Pastor. Andrew was born July 14, 1975 in Erie, Pennsylvania. 2177 i. Jason Anthony11 Robinson, was born October 8, 1992 in Lima, Ohio. 2178 ii. Hanna Leigh Michel, was born December 20, 1998 in Lima, Ohio. 2179 iii. Jordan Leare Pastor, was born October 5, 2003 in Erie, Pennsylvania. 2180 iv. Lilly May Pastor, was born June 28, 2005 in Erie Pennsylvania. 1494. Michael LeRoy10 Everts (Judy Lee9 Gottsch, LeRoy Peter8, Heinrich Julius7 Göttsch, Friedrich Johann Christian6 Goettsche, Johann5 Gotsch, Hinrich4, Johan3 Götsch, Peter2 Gotsch, Peter1) was born July 11, 1966 in Omaha, Nebraska. Michael LeRoy married Michelle Marie Towne. Michelle was born January 26, 1967. 2181 i. Logan Richard11 Everts, was born September 9, 1998 in Omaha, Nebraska. 2182 ii. Brynn Isabelle Everts, was born March 31, 2001 in Omaha, Nebraska. 2183 iii. 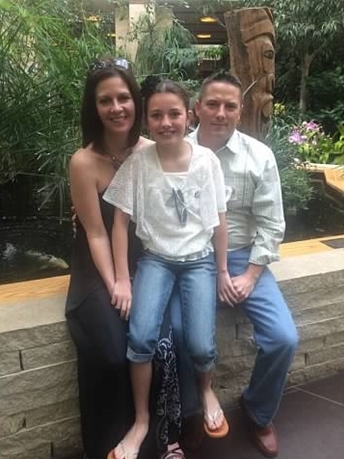 Teryn Elizabeth Everts, was born November 15, 2004 in Omaha, Nebraska. 2184	iv. 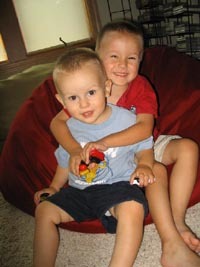 Bryce Michael Everts, was born September 16, 2008 in Omaha, Nebraska. 1495. Robert Jon10 Gottsch (Gary Allen9, LeRoy Peter8, Heinrich Julius7 Göttsch, Friedrich Johann Christian6 Goettsche, Johann5 Gotsch, Hinrich4, Johan3 Götsch, Peter2 Gotsch, Peter1) was born May 2, 1970 in Omaha, Nebraska. Robert Jon married Angela Lee Cartwrighton April 15, 1994. Angela was born September 5, 1968 in Lincoln, Nebraska. Angela is the daughter of Garry Cartwright and Linda Cartwright. 2185 i. Peter James11 Gottsch, was born August 19, 1995 in Omaha, Nebraska. 2186 ii. Benjamin Jon Gottsch, was born December 16, 1996 in Omaha, Nebraska. 2187 iii. Noah Robert Gottsch, was born February 28, 1999 in Omaha, Nebraska. 2188 iv. Eleanor Faith Gottsch, was born August 27, 2001 Omaha, Nebraska. 1496. Rodney Jason10 Gottsch (Gary Allen9, LeRoy Peter8, Heinrich Julius7 Göttsch, Friedrich Johann Christian6 Goettsche, Johann5 Gotsch, Hinrich4, Johan3 Götsch, Peter2 Gotsch, Peter1) was born September 3, 1971 in Omaha, Nebraska. Rodney Jason married Parvinder Kour on January 2, 1998 in San Diego, California. Parvinder was born June 12, 1974 in Singapore. 2189 i. James Isaiah11 Gottsch, was born October 25, 1998 in Norwich, Connecticut. 1497. Ryan Joshua10 Gottsch (Gary Allen9, LeRoy Peter8, Heinrich Julius7 Göttsch, Friedrich Johann Christian6 Goettsche, Johann5 Gotsch, Hinrich4, Johan3 Götsch, Peter2 Gotsch, Peter1) was born in Omaha, Nebraska. Ryan Joshua married Olivia Clark. Olivia was born in Madison, Wisconsin. Olivia is the daughter of Mr. & Mrs. John Clark. 2190 i. John Maximilian11 Gottsch, was born in Little Rock, Arkansas. 2191	ii. William Henry Gottsch, was born in Omaha, Nebraska . 2192 iii. Max Benedict Gottsch, was born in Omaha, Nebraska. 2193 iv. Lucy Violet Gottsch , was born in Omaha, Nebraska. 2194 v. Rosemary Frances Gottsch, was born in Omaha, Nebraska. 1498. Rachel Johanna Janelle10 Gottsch (Gary Allen9, LeRoy Peter8, Heinrich Julius7 Göttsch, Friedrich Johann Christian6 Goettsche, Johann5 Gotsch, Hinrich4, Johan3 Götsch, Peter2 Gotsch, Peter1) was born June 6, 1978 in Omaha, Nebraska. Rachel Johanna married Eric David Fuchtman on June 24, 2000. Eric was born April 19, 1976. Eric David is the son of Clifford Reynold and Sandra Rader. 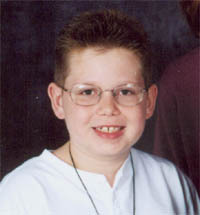 2195 i. Ethan Jerome11 Fuchtman, was born December 9, 2002 in Norfolk, Nebraska. 2196 ii. 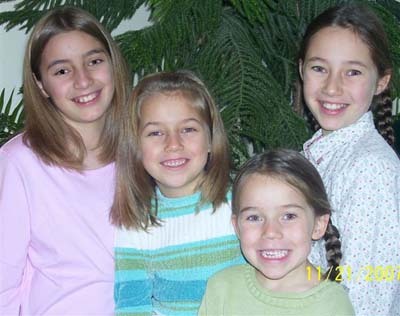 Johanna Elizabeth Fuchtman, was born May 10, 2004 in Norfolk, Nebraska. 2197	iii. Jorgia Elaine Fuchtman, was born October 17, 2008 in Norfolk, Nebraska. 2198	iv. 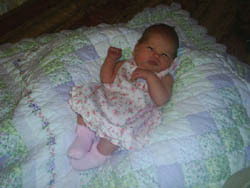 Jenna Ellamae Fuchtman, was born August 16, 2010 in Norfolk, Nebraska. 2199 v. Elliot James Fuchtman, was born July 4, 2013 in Norfolk, Nebraska. 1499. Douglas Henry10 Stevenson (Carol Ann9 Gottsch, LeRoy Peter8, Heinrich Julius7 Göttsch, Friedrich Johann Christian6 Goettsche, Johann5 Gotsch, Hinrich4, Johan3 Götsch, Peter2 Gotsch, Peter1) was born October 16, 1976 in Omaha, Nebraska. Douglas Henry married Victoria Kocurek on September 2, 2000. Victoria was born July 10, 1977. 2200 i. Darren Michael11 Stevenson, was born October 9, 2002 in Omaha, Nebraska. 2201	ii. Vanessa Lynn Stevenson, was born February 4, 2005 in Omaha, Nebraska. 2202 iii. Olivia Ann Stevenson, was born January 13, 2010 in Omaha, Nebraska. 1500. Shawn Patrick10 Stevenson (Carol Ann9 Gottsch, LeRoy Peter8, Heinrich Julius7 Göttsch, Friedrich Johann Christian6 Goettsche, Johann5 Gotsch, Hinrich4, Johan3 Götsch, Peter2 Gotsch, Peter1) was born January 10, 1981 in Omaha, Nebraska. Shawn Patrick married LeAnn Marie Bryant on December 31, 2003. LeAnn Marie was born July 21, 1982. 2203 i. Garret Anthony11 Stevenson, was born February 8, 2002. 2204 ii. 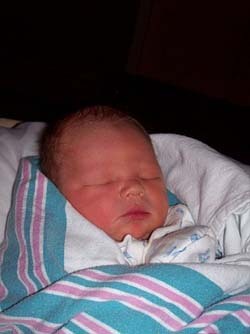 Beau Douglas Stevenson, was born July 6, 2006. 2205 iii. Courtney Paige Stevenson, was born March 2009 in Omaha, Nebraska. 2206 iv. Jesse James Stevenson , was born May 19, 2011. 1509. Vanessa Kay10 Stork (Opal Mylet9 Gottsch, Arthur Hans Henry8, Benhart Henry7, Carl (Charles) Frederick6 Gøttsch, Claus5 Gotsch, Hinrich4, Johan3 Götsch, Peter2 Gotsch, Peter1) was born January 22, 1953. Vanessa Kay married Timothy Arlyn Brown on April 22, 1972. Timothy was born January 15, 1952. 2207 i. Cori Colleen11 Brown, was born October 26, 1972. 2208 ii. Jessica Kay Brown, was born May 10, 1981. 2209 iii. Beau Timothy Brown, was born July 22, 1989. 1511. Rodney10 Gottsch (Arthur Lavern "Bud"9, Arthur Hans Henry8, Benhart Henry7, Carl (Charles) Frederick6 Gøttsch, Claus5 Gotsch, Hinrich4, Johan3 Götsch, Peter2 Gotsch, Peter1) was born in Omaha, Nebraska. 1513. Susan10 Gottsch (Arthur Lavern "Bud"9, Arthur Hans Henry8, Benhart Henry7, Carl (Charles) Frederick6 Gøttsch, Claus5 Gotsch, Hinrich4, Johan3 Götsch, Peter2 Gotsch, Peter1) was born 1960 in Omaha, Nebraska. 2212 i. Dillon Thomas11 Schulte, born 1985. 2213 ii. 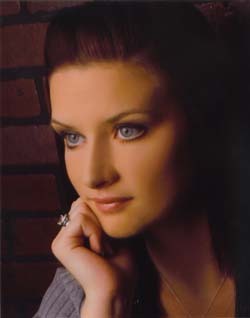 Jeanna Joann Schulte, born 1986. 2214 iii. Derek Allan Schulte, born 1991. 2215 iv. Jesse Marie Schulte, born 1993. 1515. Patrick Gene10 Gottsch (Bernard George "Pat"9, Arthur Hans Henry8, Benhart Henry7, Carl (Charles) Frederick6 Gøttsch, Claus5 Gotsch, Hinrich4, Johan3 Götsch, Peter2 Gotsch, Peter1) was born June 3, 1953 in Omaha, Nebraska. Patrick Gene married Shirley Hickey. 2216 i. Raquel Gloria11 Gottsch, was born in Omaha, Nebraska. 2217 ii. Gatsby Martha Gottsch, was born in Omaha, Nebraska. 1516. Terese Kay10 Gottsch (Bernard George "Pat"9, Arthur Hans Henry8, Benhart Henry7, Carl (Charles) Frederick6 Gøttsch, Claus5 Gotsch, Hinrich4, Johan3 Götsch, Peter2 Gotsch, Peter1) was born March 27, 1956 in Omaha, Nebraska. 2218 i. Charles Matthew11 Trofholz, was born in Omaha, Nebraska. 2219 ii. Dillon Khaled Gottsch, was born in Omaha, Nebraska. 1517. Tamara Marie10 Gottsch (Bernard George "Pat"9, Arthur Hans Henry8, Benhart Henry7, Carl (Charles) Frederick6 Gøttsch, Claus5 Gotsch, Hinrich4, Johan3 Götsch, Peter2 Gotsch, Peter1) was born July 18, 1960 in Omaha, Nebraska. Tamara Marie married Albert Hill. 2220 i. Andrea Sue11 Hill, was born in Omaha, Nebraska. 2221 ii. Sara Gloria Hill, was born in Omaha, Nebraska. 2222 iii. Nicholas Hill, was born in Omaha, Nebraska. 1518. Toni Alice10 Gottsch (Bernard George "Pat"9, Arthur Hans Henry8, Benhart Henry7, Carl (Charles) Frederick6 Gøttsch, Claus5 Gotsch, Hinrich4, Johan3 Götsch, Peter2 Gotsch, Peter1) was born May 31, 1962 in Omaha, Nebraska. Toni Alice married Thomas Joseph Korpela Jr. on June 26, 1987 in Omaha, Nebraska. 2223 i. Danielle Lynn11 Korpela, was born July 7, 1984 in Omaha, Nebraska. 2224 ii. Thomas Joseph Korpela III, was born August 29, 1989 in Omaha, Nebraska. 2225 iii. Samantha Gloria Korpela, was born March 21, 1991 in Omaha, Nebraska. 1519. Arthur Mickey10 Gottsch (Bernard George "Pat"9, Arthur Hans Henry8, Benhart Henry7, Carl (Charles) Frederick6 Gøttsch, Claus5 Gotsch, Hinrich4, Johan3 Götsch, Peter2 Gotsch, Peter1) was born November 6, 1964 in Omaha, Nebraska. Arthur Mickey married Kathleen Johnson. 2226 i. Devon Lee11 Gottsch, was born September 25, 1997 in Omaha, Nebraska. 2227 ii. Nolan Henry Gottsch, was born February 22, 2000 in Omaha, Nebraska. 1520. Robert Louis10 Gottsch (Robert Glenn9, Arthur Hans Henry8, Benhart Henry7, Carl (Charles) Frederick6 Gøttsch, Claus5 Gotsch, Hinrich4, Johan3 Götsch, Peter2 Gotsch, Peter1) was born February 19, 1954 in Omaha, Nebraska. Robert died August 10, 2011 in Hastings, Nebraska at 57 years of age. Robert Louis married Cynthia Mau on April 6, 1983 in Omaha, Nebraska. Cynthia is the daughter of Robert Mau and Colleen Mau. 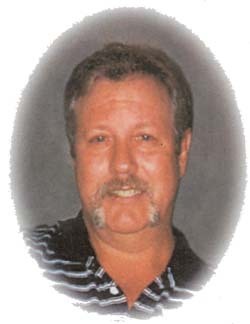 Hastings resident, Robert “Bobby” L. Gottsch, 57, passed away Wednesday, August 10, 2011 at his home. Services will be Monday, August 15, 2011; 2:00 P.M. at North Shore Assembly of God, Hastings with Pastor Randy Madison officiating. Burial will be in Sunset Memorial Gardens Cemetery, Hastings, Nebraska. Visitation will be Sunday, August 14, 2011; 1:00 P.M. – 9:00 P.M. with family present 3:00 P.M. – 7:00 P.M., Monday, August 15, 2011; 9:00 A.M. – 11:00 A.M. at the funeral home, and one hour prior to the service at the church. Memorials may be given to Evangelical Free Church or charity of donor’s choice. Bobby was born February 19, 1954 in Omaha, Nebraska to Robert G. & Lois Anne (Ruff) Gottsch. He graduated from Elkhorn High School in 1973. Bobby married Cindy Mau on April 6, 1983 in Omaha, Nebraska. 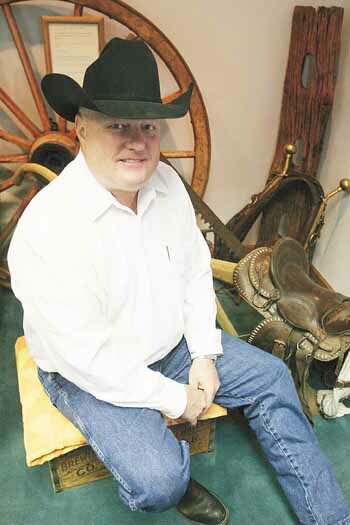 Bobby was President of Gottsch Enterprises, Inc. and affiliated companies include cattle operations and ranches in Nebraska, Kansas, Louisiana, Missouri, and Texas. Other ventures of Bobby’s include real estate and land development, Indian Creek Golf Course, Gottsch Transport, organic and traditional farming, and farming in Argentina. He was affiliated with several swine operations throughout the United States and Canada. Bobby invested in small central Nebraska banks. He owned and operated a mail order food business known as Nebraska Famous Steaks. 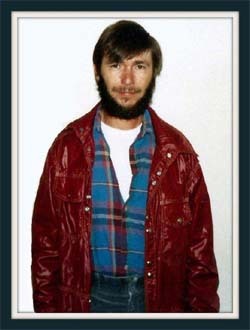 Bobby was a member of Evangelical Free Church. Some of Bobby’s professional and civic affiliations include: Vice Chairman of the Board of Trustees for Hastings College; Advisory Board for the University of Nebraska College of Business; Board of Directors for Omaha Federal Reserve from 1997-2002; Chairman of Omaha Federal Reserve in 2002; Nebraska Environmental Quality Council; and Nebraska Business Hall of Fame in 2006. Bobby was elected to the Hastings College Board of Trustees in 1995. As Chair of the Board’s Committee on Trustees, he lifted the Board to an even higher level of excellence and service. He was Vice Chair of the Board and the Executive Committee, he served on the Buildings and Grounds Committee and Planning Committee, and he was a director of the Hastings College Foundation. He contributed significantly to all major Hastings College building projects in recent years, including the Osborne Family Sports Complex, Morrison-Reeves Science Center, and the track facility. He also provided scholarship support for students. He was awarded the Hastings College President’s Award last year for outstanding and meritorious service to the College. Bobby was preceded in death by his parents; and father-in-law, Robert L. Mau. Note: The Mau family home was destroyed in the May 6, 1975 tornado in Omaha. 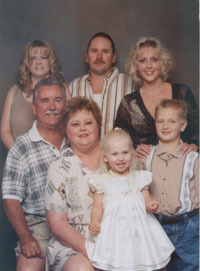 She and her family were featured in a World Herald article, Sunday April 30, 1995, the 20th anniversary of the tornado. To see photos and read stories about the tornado from Cindy Mau Gottsch and William R. Gottsch go to Omaha, Nebraska, May 6, 1975 Tornado web site. 2228	i.	Matthew Robert11 Gottsch, was born 1984. 2229	ii. Zachary Lewis Gottsch, was born 1985. 2230	iii. Nicole Paige Gottsch, was born 1989. 2231	iv. Jenny Rae Gottsch, was born 1991. 1521. William Leon10 Gottsch (Robert Glenn9, Arthur Hans Henry8, Benhart Henry7, Carl (Charles) Frederick6 Gøttsch, Claus5 Gotsch, Hinrich4, Johan3 Götsch, Peter2 Gotsch, Peter1) was born 1958 in Bennington, Nebraska. William Leon married Carrie Zeigenbein in Nebraska. 2233 i. Sydney11 Gottsch, was born June 9, 1993 in Nebraska. 2234 ii. Anna Gottsch, was born March 16, 1998 in Nebraska. 2235 iii. William Gottsch, was born March 16, 1998 in Nebraska. 1522. Brett Arthur10 Gottsch (Robert Glenn9, Arthur Hans Henry8, Benhart Henry7, Carl (Charles) Frederick6 Gøttsch, Claus5 Gotsch, Hinrich4, Johan3 Götsch, Peter2 Gotsch, Peter1) was born 1959 in Bennington, Nebraska. Brett Arthur married Stacey Lynn Komar in Benningotn, Nebraska. Stacey was born July 29, 1967. 2236 i. Hunter11 Gottsch (Twin), was born June 5, 1999 in Bennington, Nebraska. 2237 ii. Parker Gottsch (Twin), was born June 5, 1999 in Bennington, Nebraska. 1523. Barry Richard10 Gottsch (Robert Glenn9, Arthur Hans Henry8, Benhart Henry7, Carl (Charles) Frederick6 Gøttsch, Claus5 Gotsch, Hinrich4, Johan3 Götsch, Peter2 Gotsch, Peter1) was born 1961 in Bennington, Nebraska. Barry Richard married Jennifer Jozaitis. 2238 i. Wolfgang Arthur11 Gottsch, was born 1992 in Nebraska. 1524. William Dean10 Travis (Betty Jean9 Gottsch, Arthur Hans Henry8, Benhart Henry7, Carl (Charles) Frederick6 Gøttsch, Claus5 Gotsch, Hinrich4, Johan3 Götsch, Peter2 Gotsch, Peter1) was born March 29, 1951. William Dean married Ruth Ann Goodman on July 23, 1983. 2239 i. Sarah Ann11 Travis, was born December 4, 1984. 2240 ii. Abby Lynn Travis, was born April 6, 1988. 1526. Gary Lee10 Gottsch (Virgil James9, Arthur Hans Henry8, Benhart Henry7, Carl (Charles) Frederick6 Gøttsch, Claus5 Gotsch, Hinrich4, Johan3 Götsch, Peter2 Gotsch, Peter1) was born November 12, 1961. Gary Lee married Barbara Mayer. Barbara was born March 11, 1963. 2241 i. Mary Elizabeth11 Gottsch, was born January 14, 1992. 2242 ii. Cale Garrett Gottsch, was born January 30, 1994. 2243 iii. Shane Joseph Gottsch, was born October 13, 1996. 1527. Donald Mickey10 Gottsch (Virgil James9, Arthur Hans Henry8, Benhart Henry7, Carl (Charles) Frederick6 Gøttsch, Claus5 Gotsch, Hinrich4, Johan3 Götsch, Peter2 Gotsch, Peter1) was born August 1, 1966. Donald Mickey married Kathi Knorr on March 9, 2000 in Honolulu, Hawaii. Kathi was born March 25, 1969. 2244 i. Ellie Marie11 Gottsch, was born April 16, 2003 in Omaha, Nebraska. 1530. Michael Ray10 Gottsch (Lyle Ray "Barney"9, Arthur Hans Henry8, Benhart Henry7, Carl (Charles) Frederick6 Gøttsch, Claus5 Gotsch, Hinrich4, Johan3 Götsch, Peter2 Gotsch, Peter1) was born in Omaha, Nebraska. Michael Ray married Elizabeth Ann Dyck. 2245 i. Benjamin11 Gottsch, was born May 27, 1991 in Chadron, Nebraska. 2246 ii. Frances Gottsch, was born September 10, 1993 in York, Nebraska. 2247 iii. Samuel Gottsch, was born December 21, 1995 in York, Nebraska. 1535. Rene10 Gottsch (Lyle Ray "Barney"9, Arthur Hans Henry8, Benhart Henry7, Carl (Charles) Frederick6 Gøttsch, Claus5 Gotsch, Hinrich4, Johan3 Götsch, Peter2 Gotsch, Peter1) was born in Omaha, Nebraska. 2248	i.	Olivia Mae11 Gottsch, was born September 22, 2005. 1540. Dwight Christ10 Jorgensen (Janice Lavonne9 Gottsch, Ben Alfred8, Benhart Henry7, Carl (Charles) Frederick6 Gøttsch, Claus5 Gotsch, Hinrich4, Johan3 Götsch, Peter2 Gotsch, Peter1). Dwight Christ married Janet Unknown. + 2249 i. Dwight Christ11 Jorgensen Jr..
+ 2250 ii. Mark Jorgensen. + 2251 iii. Michael Jorgensen. + 2252 iv. Jill Jorgensen. 1541. Kenneth Leslie10 Jorgensen (Janice Lavonne9 Gottsch, Ben Alfred8, Benhart Henry7, Carl (Charles) Frederick6 Gøttsch, Claus5 Gotsch, Hinrich4, Johan3 Götsch, Peter2 Gotsch, Peter1). Kenneth Leslie married Lynn Unknown. 2253 i. Leslie Gavrila11 Jorgensen. 1542. John Wesley10 Jorgensen (Janice Lavonne9 Gottsch, Ben Alfred8, Benhart Henry7, Carl (Charles) Frederick6 Gøttsch, Claus5 Gotsch, Hinrich4, Johan3 Götsch, Peter2 Gotsch, Peter1). John Wesley married Jackie Unknown. 1543. Ann Renee10 Jorgensen (Janice Lavonne9 Gottsch, Ben Alfred8, Benhart Henry7, Carl (Charles) Frederick6 Gøttsch, Claus5 Gotsch, Hinrich4, Johan3 Götsch, Peter2 Gotsch, Peter1). Ann Renee married Dale Powers. 2258 iii. Aaron Powers (Twin). 2259 iv. Alyssa Powers (Twin). 1544. Lori Renae10 Gottsch (Duane LeRoy9, Harlan8, Benhart Henry7, Carl (Charles) Frederick6 Gøttsch, Claus5 Gotsch, Hinrich4, Johan3 Götsch, Peter2 Gotsch, Peter1) was born in Arlington, Nebraska. Lori Renae married Jay Lee Ringle. Jay was born in Fremont, Nebraska. 2261 ii. Barrett Donlee Ringle. 1546. Daniel Harman10 Gottsch (Duane LeRoy9, Harlan8, Benhart Henry7, Carl (Charles) Frederick6 Gøttsch, Claus5 Gotsch, Hinrich4, Johan3 Götsch, Peter2 Gotsch, Peter1). Daniel Harman married Jennifer Handley. 2262 i. Jayden Tyler11 Gottsch. 1547. Kimberly Kay10 Campbell (Karen Kay9 Gottsch, Harlan8, Benhart Henry7, Carl (Charles) Frederick6 Gøttsch, Claus5 Gotsch, Hinrich4, Johan3 Götsch, Peter2 Gotsch, Peter1) was born October 2, 1957 in Blair, Nebraska. 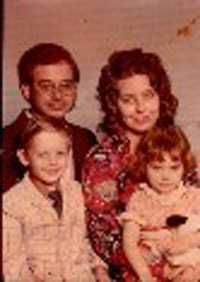 Kimberly Kay married Joseph John Foral on April 21, 1978 in Blair, Nebraska. Joseph was born January 31, 1958 in Los Angeles, California. + 2263 i. Matthew Joseph11 Foral, was born May 2, 1980. + 2264 ii. Douglas Charles Foral, was born December 10, 1981. 2265 iii. Gregory John Foral, was born March 12, 1985 in Blair, Nebraska. 1548. Russell Louis Campbell10 Campbell (Karen Kay9 Gottsch, Harlan8, Benhart Henry7, Carl (Charles) Frederick6 Gøttsch, Claus5 Gotsch, Hinrich4, Johan3 Götsch, Peter2 Gotsch, Peter1) was born December 7, 1959 in Blair, Nebraska. Russell Louis married Kimberly Jo Morford. Kimberly was born in Omaha, Nebraska. + 2266 i. Kelly Jo11 Campbell, was born January 22, 1986 in Omaha, Nebraska. 2267 ii. Nicholas Charles Campbell, was born September 19, 1988 in Omaha, Nebraska. 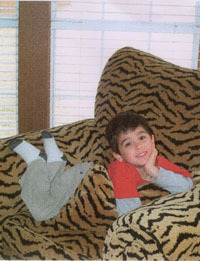 Nicholas died October 26, 2007 at 19 years of age. 2268 iii. Mikayla Marie Campbell, was born August 20, 1992 in Omaha, Nebraska. 1549. Sandra Sue10 Campbell (Karen Kay9 Gottsch, Harlan8, Benhart Henry7, Carl (Charles) Frederick6 Gøttsch, Claus5 Gotsch, Hinrich4, Johan3 Götsch, Peter2 Gotsch, Peter1)was born October 23, 1961 in Blair, Nebraska. Sandra Sue married Kevin Leon Hall on October 8, 1983 in Blair Nebraska. Kevin was born November 16, 1961 in Sioux City, Iowa. Kevin is the son of Harold William Hall and Nellie Darlene Little. 2269 i. Zachary John11 Hall, was born March 9, 1987 in Blair, Nebraska. 2270 ii. Danielle Leigh Hall, was born April 11, 1989 in Blair, Nebraska. 2271 iii. Brian William Hall, was born May 28, 1992 in Omaha, Nebraska. 1550. Terri Lynn10 Campbell (Karen Kay9 Gottsch, Harlan8, Benhart Henry7, Carl (Charles) Frederick6 Gøttsch, Claus5 Gotsch, Hinrich4, Johan3 Götsch, Peter2 Gotsch, Peter1) was born March 17, 1971 in Blair, Nebraska. Terri Lynn married Jason Eugene Willmott on May 22, 1993 in Blair, Nebraska. Jason was born October 25, 1972 in Missouri Valley, Iowa. Jason is the son of Leslie Duane Willmott and Janet Vore. 2272 i. Ryan Michael11 Willmott, was born July 21, 1994 in Blair, Nebraska. 2273 ii. Lane Weston Willmott, was born November 5, 1996 in Omaha, Nebraska. 2274 iii. Alexander Jason Willmott, was born March 20, 1999 in Blair, Nebraska. 2275 iv. Breelyn Elizabeth Willmott, was born August 30, 2005 in Blair, Nebraska. 1553. Michelle10 Gottsch (Mervyn R.9, Harlan8, Benhart Henry7, Carl (Charles) Frederick6 Gøttsch, Claus5 Gotsch, Hinrich4, Johan3 Götsch, Peter2 Gotsch, Peter1) was born November 13, 1964 in Blair, Nebraska. Michelle married John Jerrold Dortch Jr. on June 4, 1983 in Logan, Iowa. John was born May 26, 1962. + 2276 i. Angella Lynn11 Dortch, was born December 12, 1984. 2277 ii. Rachel Marie Dortch, was born July 27, 1987 in Omaha, Nebraska. 2278 iii. Elizabeth Rae Dortch, was born January 25, 1989 in Fremont, Nebraska. 2279 iv. Sarah Summer Dortch, was born August 9, 1992 in Fremont, Nebraska. 1559. Renee Helene10 Pollak (Janelle Rose9 Witt, Harry Julius8, Dorothea Theresa7 Göttsch, Friedrich Johann Christian6 Goettsche, Johann5 Gotsch, Hinrich4, Johan3 Götsch, Peter2 Gotsch, Peter1) was born May 3, 1964 in Arvada, Colorado. Renee Helene married Robert Michael Volk on September 23, 1989. 2280	i. Jonahan Allen11 Volk, was born January 11, 1994. 2281 ii. Alex Christopher Volk, was born May 21, 1998. 1561. Douglas Scott10 Witt (Max Otto9, Harry Julius8, Dorothea Theresa7 Göttsch, Friedrich Johann Christian6 Goettsche, Johann5 Gotsch, Hinrich4, Johan3 Götsch, Peter2 Gotsch, Peter1) was born March 9, 1959 in Englewood, Colorado. Douglas Scott married twice. Douglas Scott married Terri Carol. Terri is the daughter of Delmer Carol and Joyce Unkown. Douglas Scott married Janice Abbangst on September 2, 1978 in Greeley, Colorado. 2282 i. Brooke Jessica11 Witt, was born November 19, 1979 in Cresco, Pennsylvania. 2283	ii. Kay Lynn Witt, was born October 27, 1988. 2284 iii. Kelly Ann Witt, was born September 12, 1990. 1567. Karen Kay10 Gottsch (Albert Harold9, Albert Henry8, Henry Clark7, Peter6 Gøttsch, Claus5 Gotsch, Hinrich4, Johan3 Götsch, Peter2 Gotsch, Peter1) was born November 12, 1957 in ElDorado, Kansas. Karen Kay married George Thorsell. 2285 i. Monica Katherine11 Thorsell, was born March 9, 1980 in St. Joseph, Missouri. 1571. Jeri Ann10 Gottsch (Daniel Boy9, Albert Henry8, Henry Clark7, Peter6 Gøttsch, Claus5 Gotsch, Hinrich4, Johan3 Götsch, Peter2 Gotsch, Peter1) was born May 13, 1960 in Oklahoma. Jeri Ann married Vincent Sheik. 2286 i. Anna11 Sheik, was born in Oklahoma. 1572. Rhonda Lynn10 Gottsch (Daniel Boy9, Albert Henry8, Henry Clark7, Peter6 Gøttsch, Claus5 Gotsch, Hinrich4, Johan3 Götsch, Peter2 Gotsch, Peter1) was born June 9, 1961 in Oklahoma. Rhonda Lynn married Skyler Smith. 2287 i. Dylan11 Smith, was born in Oklahoma. 1573. Aaron Heath10 Gottsch (Alan Rae9, Albert Henry8, Henry Clark7, Peter6 Gøttsch, Claus5 Gotsch, Hinrich4, Johan3 Götsch, Peter2 Gotsch, Peter1) was born November 26, 1982 in Woodward, Oklahoma. 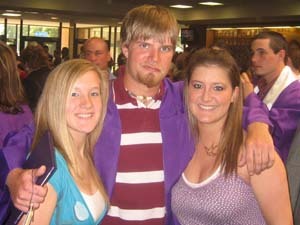 Aaron Heath married Heather Dawn Bowman on June 26, 2004 in Medford, Oklahoma. Heather was born August 16, 1985 in Medford, Oklahoma. 2289 i. Alan 'Raegan'11 Gottsch, was born August 15, 2009 in Oklahoma City, Oklahoma. 2290 ii. Eden Genevieve Gottsch was born November 21, 2011 in Oklahoma City, Oklahoma. 1574. Allison Katherine10 Gottsch (Alan Rae9, Albert Henry8, Henry Clark7, Peter6 Gøttsch, Claus5 Gotsch, Hinrich4, Johan3 Götsch, Peter2 Gotsch, Peter1) was born January 25, 1985 in Woodward, Oklahoma. Allison Katherine married Robby Len Inman October 9, 2010 in Dacoma, Oklahoma. Robby was born October 29, 1983. 2291 i. Kallie Rae11 Inman was born October 8, 2009 in Enid, Oklahoma. 1575. Clayton Mark10 Gottsch (Robert Clark9, Lester Louis8, Henry Clark7, Peter6 Gøttsch, Claus5 Gotsch, Hinrich4, Johan3 Götsch, Peter2 Gotsch, Peter1) was born June 24, 1959. Clayton Mark married Michelle Gottsch. 1576. Claude Martin10 Gottsch (Robert Clark9, Lester Louis8, Henry Clark7, Peter6 Gøttsch, Claus5 Gotsch, Hinrich4, Johan3 Götsch, Peter2 Gotsch, Peter1) was born September 11, 1960. Claude Martin married Melanie Anderson. Melanie was born June 26, 1964. 2293 i. Kristie Mae11 Gottsch, was born August 23, 1988. 2294 ii. Gregory Martin Gottsch, was born August 19, 1991. 2295 iii. Andrew James Gottsch, was born September 5, 1992. 1578. Robert Clark10 Gottsch II (Robert Clark9, Lester Louis8, Henry Clark7, Peter6 Gøttsch, Claus5 Gotsch, Hinrich4, Johan3 Götsch, Peter2 Gotsch, Peter1) was born August 25, 1970 in Newcastle, Wyoming. 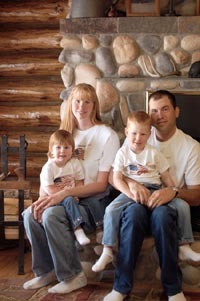 Robert Clark married Stacie Anne Slaughter on February 22, 2003 in Wyoming. Stacie was born January 6, 1971 in Winter Park, Florida. Stacie Anne is he daughter of George William Slaughter and Paula Lee Leftridge-Martin. 2296 i. William Clark11 Gottsch, was born October 14, 2003 in Spearfish, South Dakota. 2297 ii. Houston Patrick Gottsch, was born September 6, 2005 in Spearfish, South Dakota. 1585. Donald James (Gallagher)10 Elrod (Hazel Mae9 Gottsch, Walter William8, William Peter7, Peter6 Gøttsch, Claus5 Gotsch, Hinrich4, Johan3 Götsch, Peter2 Gotsch, Peter1) was born September 26, 1955 in Omaha, Nebraska. Donald died on November 5, 2007 in Treynor, Iowa at 52 years of age. Donald James married Debra S. Myers on July 28, 1979 in Iowa. ELROD-Donald J. age 52 Co. Bluffs. Installer for Omaha Door and Window. Survived by wife Debbie, daughters, Lindsay and Carrie all Co. Bluffs, mother Hazel Stalnaker, sister, Pamela Gillard (Terry) all Grove, OK, Robin Mitchell (Mark) Grand Junction, CO.; nieces, nephews, aunts, and uncles. Visitation Sunday 3:00-5:00pm at Funeral Home. Funeral services Monday 11:00am at Funeral Home. Interment Garner Township Cemetery. Family will direct memorials. 1586. Pamela Faye10 Gallagher (Hazel Mae9 Gottsch, Walter William8, William Peter7, Peter6 Gøttsch, Claus5 Gotsch, Hinrich4, Johan3 Götsch, Peter2 Gotsch, Peter1) was born February 22, 1959. Pamela Faye married Terrence Jay Gillard on November 27, 1985 in Avondale Arizona. 2300	i. Kyle Joseph11 Gillard, was born February 15, 1990. 2301 ii. Lacy Theresa Gillard, was born February 12, 1993. 1587. Robin Rosanne10 Elrod (Hazel Mae9 Gottsch, Walter William8, William Peter7, Peter6 Gøttsch, Claus5 Gotsch, Hinrich4, Johan3 Götsch, Peter2 Gotsch, Peter1) was born August 8, 1968. Robin Rosanne married twice. Robin Rosanne married Charles Gagne 1985. Robin Rosanne married Mark Mitchell after 1992. + 2302 i. Sirenah11 Gagne, was born October 1985. 2303 ii. Paul Davenport, was born September 1990. 2304 iii. Adam Davenport, was born September 10, 1991. 1589. Randall E.10 Gottsch (Almann9, Walter William8, William Peter7, Peter6 Gøttsch, Claus5 Gotsch, Hinrich4, Johan3 Götsch, Peter2 Gotsch, Peter1) was born September 2, 1956. Randall E. married Diana Grell. 2305 i. Richard W.11 Gottsch. 2306 ii. Kartina M. Gottsch. 2307 iii. 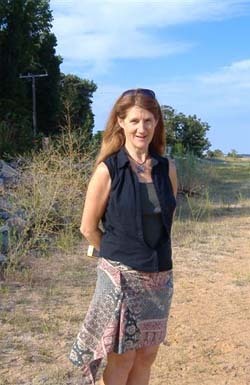 Bonnie K. Gottsch. 1593. Tyrone Ramsey10 Gottsch (Marjorie9 Gottsch, Wilbur8, Andrew Jackson7, Peter6 Gøttsch, Claus5 Gotsch, Hinrich4, Johan3 Götsch, Peter2 Gotsch, Peter1). Tyrone married twice. Tyrone married Debbie Tilley. + 2309	ii. Travis Ramsey, was born September 11, 1980. 1594. Toby Powell10 Weidenheimer (Marjorie9 Gottsch, Wilbur8, Andrew Jackson7, Peter6 Gøttsch, Claus5 Gotsch, Hinrich4, Johan3 Götsch, Peter2 Gotsch, Peter1) was born February 15, 1944 in Enid, Oklahoma. Toby married twice. Toby married Christine Henningsen 1965. Toby married Cindy Gould 1986. + 2310 i. Kerry11 Weidenheimer, was born January 13, 1969. + 2311 ii. Laurie Weidenheimer, was born November 29, 1972. 1595. Candace Powell10 Weidenheimer (Marjorie9 Gottsch, Wilbur8, Andrew Jackson7, Peter6 Gøttsch, Claus5 Gotsch, Hinrich4, Johan3 Götsch, Peter2 Gotsch, Peter1) was born January 31, 1948. 2312	i. William Christopher Mantz Moredock . William died in November 1975. 2313 ii. Cheryl11 Moredock, was born June 24, 1970. Cheryl married twice. Cheryl married Ronald Shipp in October 1998. Cheryl married Mike Berndt on February 28, 2001. 1596. Vane Scott Powell10 Weidenheimer (Marjorie9 Gottsch, Wilbur8, Andrew Jackson7, Peter6 Gøttsch, Claus5 Gotsch, Hinrich4, Johan3 Götsch, Peter2 Gotsch, Peter1) was born January 17, 1949 in Enid, Oklahoma. Vane Scott married Sharon Powers. Sharon was born June 2, 1948 in Poughkeepsie, New York. + 2314 i. Deborah11 Weidenheimer. 1597. Deborah10 Gottsch (Max9, Wilbur8, Andrew Jackson7, Peter6 Gøttsch, Claus5 Gotsch, Hinrich4, Johan3 Götsch, Peter2 Gotsch, Peter1) was born 1953. Deborah married Gary Kamphaus in 1972. 2315 i. Brent11 Kamphaus (Twin) , was born 1973. 2316 ii. 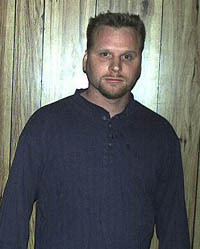 Bryant Kamphaus (Twin), was born 1973. + 2317 iii. Desiree Kamphaus, was born 1976. 1598. Vickie10 Gottsch (Max9, Wilbur8, Andrew Jackson7, Peter6 Gøttsch, Claus5 Gotsch, Hinrich4, Johan3 Götsch, Peter2 Gotsch, Peter1) was born 1954. 1599. Cheryl10 Gottsch (Max9, Wilbur8, Andrew Jackson7, Peter6 Gøttsch, Claus5 Gotsch, Hinrich4, Johan3 Götsch, Peter2 Gotsch, Peter1) was born 1955. 1600. Verland10 Gottsch (Max9, Wilbur8, Andrew Jackson7, Peter6 Gøttsch, Claus5 Gotsch, Hinrich4, Johan3 Götsch, Peter2 Gotsch, Peter1) was born 1957. 1601. Charlotte10 Gottsch (Max9, Wilbur8, Andrew Jackson7, Peter6 Gøttsch, Claus5 Gotsch, Hinrich4, Johan3 Götsch, Peter2 Gotsch, Peter1) was born 1958. Charlotte died 2005 at 47 years of age. 1603. Denise10 Gottsch (Max9, Wilbur8, Andrew Jackson7, Peter6 Gøttsch, Claus5 Gotsch, Hinrich4, Johan3 Götsch, Peter2 Gotsch, Peter1) was born 1960. Denise married Boyd Foster. Boyd was born 1968. 1605. Kevin10 Gottsch (Twin) (Max9, Wilbur8, Andrew Jackson7, Peter6 Gøttsch, Claus5 Gotsch, Hinrich4, Johan3 Götsch, Peter2 Gotsch, Peter1) was born 1962. 1607. Leland10 Gottsch (Max9, Wilbur8, Andrew Jackson7, Peter6 Gøttsch, Claus5 Gotsch, Hinrich4, Johan3 Götsch, Peter2 Gotsch, Peter1) was born 1963. 1608. Michelle10 Gottsch (Max9, Wilbur8, Andrew Jackson7, Peter6 Gøttsch, Claus5 Gotsch, Hinrich4, Johan3 Götsch, Peter2 Gotsch, Peter1) was born 1968. 1609. Marlene Ellen10 McCabe (Geraldine Clara9 Schneider, Peter Christian8, Emma Estella7 Gottsch, Peter6 Gøttsch, Claus5 Gotsch, Hinrich4, Johan3 Götsch, Peter2 Gotsch, Peter1) was born July 5, 1954. Marlene Ellen married Gary Michael Mosher on April 16, 1977. Gary was born February 17, 1955. + 2340 i. Justin Christian11 Mosher, was born October 17, 1977. + 2341 ii. Noah Michael Mosher, was born March 9, 1979. 2342 iii. Sean E. Mosher, was born April 13, 1981. Sean married Jennifer Marie Iske on October 4, 2008. 1610. Mary Lou10 Storjohn (Geraldine Clara9 Schneider, Peter Christian8, Emma Estella7 Gottsch, Peter6 Gøttsch, Claus5 Gotsch, Hinrich4, Johan3 Götsch, Peter2 Gotsch, Peter1) was born April 13, 1959. Mary Lou married Duane Gage on January 12, 1980. Duane was born April 18, 1959. 2343 i. Christopher11 Gage, was born February 13, 1990. 1625. Joan Marie10 Graverholt (Marjorie Lucille9 Benck, Sarah Mary8 Schneider, Emma Estella7 Gottsch, Peter6 Gøttsch, Claus5 Gotsch, Hinrich4, Johan3 Götsch, Peter2 Gotsch, Peter1) was born March 3, 1942 in Blair, Nebraska. Joan Marie married three times. Joan Marie married Paul Rex McKinnie on August 8, 1959 in Seattle, Washington. Paul was born April 30, 1937 in Fort Dodge, Iowa. Joan Marie married Glen Davis on December 29, 1962. Glen was born August 19, 1941. Joan Marie married Kirby Weage Morgan on August 3, 1973 in Seattle, Washington. Kirby was born September 14, 1935. + 2344 i. Richard Lee11 Graverholt, born July 21, 1960. 2345 ii. Casandra Lynn Davis, was born August 8, 1962 in Seattle, Washington. Casandra married Danny Thompson on August 26, 1989 in Seattle, Washington. + 2346 iii. Rodney Thomas Davis, was born November 27, 1963. 2347 iv. Kirby Weage Morgan Jr., was born April 13, 1977 in Seattle, Washington. 1627. Donald Eugene10 Buck (Dorothy Clara9 Benck, Sarah Mary8 Schneider, Emma Estella7 Gottsch, Peter6 Gøttsch, Claus5 Gotsch, Hinrich4, Johan3 Götsch, Peter2 Gotsch, Peter1) was born October 29, 1942. Donald died May 10, 2014 at 71 years of age. 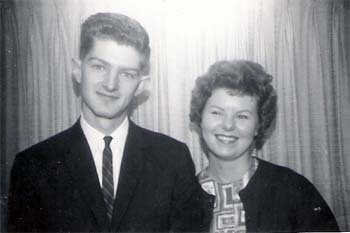 Donald Eugene married Virginia Lee Martin on December 14, 1963. Virginia was born October 13, 1944. Virginia died July 23, 1996 in Lincoln, Nebraska at 51 years of age. + 2348 i. Lori Lee11 Buck, was born October 19, 1964. 2349 ii. Scott Allen Buck, was born November 1, 1968. 1628. Janet Elaine10 Buck (Dorothy Clara9 Benck, Sarah Mary8 Schneider, Emma Estella7 Gottsch, Peter6 Gøttsch, Claus5 Gotsch, Hinrich4, Johan3 Götsch, Peter2 Gotsch, Peter1) was born June 21, 1947 in Blair, Nebraska. Janet Elaine married twice. Janet Elaine married Marvin Thiel in 1966. Janet Elaine married William Herman on December 18, 1973. 2350 i. Marvin Charles11 Thiel, was born April 11, 1967. 2351 ii. Carrie Lynn Thiel, was born July 14, 1968. 2352 iii. Bruce Herman, was born 1979. 1629. Joyce Ann10 Benck (Myron George9, Sarah Mary8 Schneider, Emma Estella7 Gottsch, Peter6 Gøttsch, Claus5 Gotsch, Hinrich4, Johan3 Götsch, Peter2 Gotsch, Peter1) was born July 30, 1950 in Fremont, Nebraska. Joyce Ann married four times. Joyce Ann married Kevin Harnett on July 17, 1971. Joyce Ann married Gary Ruzek on July 4, 1973. Joyce Ann married Dale Drew on December 12, 1981. Joyce Ann married Steven Koranda on February 28, 1984. Steven was born September 2, 1956. 2353 i. Angela11 Harnett, was born December 24, 1971. 2354 ii. Dustin Dale Drew, was born October 19, 1982. 2355 iii. Stefanie Joy Koranda, was born September 10, 1986. 2356 iv. Brian Wayne Koranda, was born April 5, 1990. 1637. Susan Kay10 Kuenning (Ralph Donald9, Fredericka Johanna Marie8 Schneider, Emma Estella7 Gottsch, Peter6 Gøttsch, Claus5 Gotsch, Hinrich4, Johan3 Götsch, Peter2 Gotsch, Peter1) was born April 3, 1960. Susan Kay married David Guitteres on December 18, 1978. David was born October 18, 1960. 2357 i. Lisa Marie11 Guitteres, was born April 20, 1980. 1645. Douglas Michael10 Downey (Donna Berniece9 Kuenning Scott, Eva Elizabeth A. Lucinda8 Schneider, Emma Estella7 Gottsch, Peter6 Gøttsch, Claus5 Gotsch, Hinrich4, Johan3 Götsch, Peter2 Gotsch, Peter1) was born April 11, 1960. Douglas Michael married Milinda Nilner on October 26, 1979. Milinda was born September 27, 1962. 2358 i. Dustin Mark11 Downey, was born July 3, 1982. 1646. Deann Denise10 Downey (Donna Berniece9 Kuenning Scott, Eva Elizabeth A. Lucinda8 Schneider, Emma Estella7 Gottsch, Peter6 Gøttsch, Claus5 Gotsch, Hinrich4, Johan3 Götsch, Peter2 Gotsch, Peter1) was born December 31, 1961. Deann Denise married William Craig Bullock on August 31, 1985. William was born July 21, 1955. 2360 i. Caitlin Shay11 Bullock, was born August 5, 1991. 1647. Brian Mark10 Downey (Donna Berniece9 Kuenning Scott, Eva Elizabeth A. Lucinda8 Schneider, Emma Estella7 Gottsch, Peter6 Gøttsch, Claus5 Gotsch, Hinrich4, Johan3 Götsch, Peter2 Gotsch, Peter1) was born February 6, 1963. Brian married Sharla Kay Brown on September 10, 1988. Sharla was born September 30, 1962. 2362 i. Austin John11 Downey, was born November 12, 1989. 1648. Kristine Ellen10 Holman (June May9 Kuenning Scott, Eva Elizabeth A. Lucinda8 Schneider, Emma Estella7 Gottsch, Peter6 Gøttsch, Claus5 Gotsch, Hinrich4, Johan3 Götsch, Peter2 Gotsch, Peter1) was born April 6, 1955. Kristine Ellen married Steve Dixon on January 31, 1976. Steve was born June 1, 1957. 2364 i. Steven Keith11 Dixon, was born April 22, 1978. 1649. Allen Woodford10 Holman Jr. (June May9 Kuenning Scott, Eva Elizabeth A. Lucinda8 Schneider, Emma Estella7 Gottsch, Peter6 Gøttsch, Claus5 Gotsch, Hinrich4, Johan3 Götsch, Peter2 Gotsch, Peter1) was born September 19, 1956. Allen Woodford married Leslie Ann Gutienez on November 11, 1978. Leslie was born July 25, 1961. 2366 i. Hilary Ann11 Holman, was born April 8, 1979. 2367 ii. Kimberley Holman, was born January 16, 1986. Kimberley died January 16, 1986 at 1 day of age. 1650. Roxanne Marie10 Holman (June May9 Kuenning Scott, Eva Elizabeth A. Lucinda8 Schneider, Emma Estella7 Gottsch, Peter6 Gøttsch, Claus5 Gotsch, Hinrich4, Johan3 Götsch, Peter2 Gotsch, Peter1) was born November 7, 1958. Roxanne Marie married twice. Roxanne Marie married Gaylen Dean Krueger. Gaylen was born February 12, 1959. Roxanne Marie married Mark Seward on June 26, 1976. Mark was born August 14, 1957. 2369 i. Amber Marie11 Seward, was born November 15, 1976. 1651. Rodney Dean10 Holman (June May9 Kuenning Scott, Eva Elizabeth A. Lucinda8 Schneider, Emma Estella7 Gottsch, Peter6 Gøttsch, Claus5 Gotsch, Hinrich4, Johan3 Götsch, Peter2 Gotsch, Peter1) was born July 23, 1960. Rodney Dean married twice. Rodney Dean married Sabine Kristina Pual on September 1985. Sabine was born February 6, 1960. Rodney Dean married Unknown Bender on July 9, 1994. Unknown Bender was born January 21, 1967. 2370 i. Dominick Pascal11 Holman, was born December 21, 1987. 1653. Jodean Linn10 Holman (June May9 Kuenning Scott, Eva Elizabeth A. Lucinda8 Schneider, Emma Estella7 Gottsch, Peter6 Gøttsch, Claus5 Gotsch, Hinrich4, Johan3 Götsch, Peter2 Gotsch, Peter1) was born May 25, 1967. Jodean Linn married Daniel James Smith on April 30, 1986. Daniel was born February 28, 1966. 2372 i. Tyson James11 Smith, was born January 28, 1987. 1655. Anita Marie10 Wilt (Russell Duane9, Isaac Peter8, Lucinda Katie7 Gottsch, Peter6 Gøttsch, Claus5 Gotsch, Hinrich4, Johan3 Götsch, Peter2 Gotsch, Peter1) was born December 24, 1968 in Tulsa, Oklahoma. Anita Marie married Guy Anthony Collins on July 30, 1994. Guy was born September 4, 1967 in Winner, South Dakota. 2373 i. Sean Alexander11 Collins, was born July 10, 1999 in St. Louis Park, Minnesota. 2374 ii. Erin Elizabeth Collins, was born May 29, 2001 in St. Louis Park, Minnesota. 2375 iii. Brendan Michael Collins, was born December 19, 2004 in St. Louis Park, Minnesota. 1656. John Michael10 Larrick (John Marvin9, May Lovina8 Wilt, Lucinda Katie7 Gottsch, Peter6 Gøttsch, Claus5 Gotsch, Hinrich4, Johan3 Götsch, Peter2 Gotsch, Peter1) was born March 23, 1950 in Rock Island, Illinois. John Michael married Jotta Gabrielle Viola. Jotta was born 1951 in Berlin, Germany. + 2376 i. John Matthew11 Larrick, was born November 3, 1969. 2377 ii. Amy Kristine Larrick, was born May 11, 1977 in Omaha, Nebraska. 2378 iii. David Michael Larrick, was born August 5, 1978 in Omaha, Nebraska. 1657. Judith Ann10 Larrick (John Marvin9, May Lovina8 Wilt, Lucinda Katie7 Gottsch, Peter6 Gøttsch, Claus5 Gotsch, Hinrich4, Johan3 Götsch, Peter2 Gotsch, Peter1) was born April 24, 1952 in Omaha, Nebraska. Judith Ann married Joe Howard Marshall on December 7, 1974 in Warrensburg, Missouri. 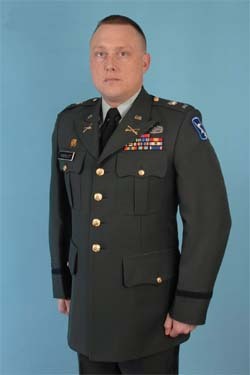 2379 i. Jeremy Alan11 Marshall, was born June 7, 1978 in Jefferson City, Missouri. 1659. Carol Ann10 Boepple (Virginia Claire9 Larrick, May Lovina8 Wilt, Lucinda Katie7 Gottsch, Peter6 Gøttsch, Claus5 Gotsch, Hinrich4, Johan3 Götsch, Peter2 Gotsch, Peter1) was born October 10, 1949 in Enid, Oklahoma. Carol Ann married Gary Garren on April 1, 1972. 2380 i. Sally Ann11 Garren, was born August 3, 1973 in Enid, Oklahoma. 1660. David Alan10 Wilt (Twin) (Clinton Alvan9, Henry James8, Lucinda Katie7 Gottsch, Peter6 Gøttsch, Claus5 Gotsch, Hinrich4, Johan3 Götsch, Peter2 Gotsch, Peter1) was born October 15, 1957 in Pittsburg, Kansas. David Alan married twice. David Alan married Elizabeth Nall. David Alan married Kathy Phillips on July 19, 1980. 2381 i. Alexandra Marie11 Wilt, was born December 28, 1992 in Kansas City, Missouri. 2382 ii. Garrett Remington Wilt, was born May 20, 1995 in Kansas City, Missouri. 1661. Diane Marie10 Wilt (Twin) (Clinton Alvan9, Henry James8, Lucinda Katie7 Gottsch, Peter6 Gøttsch, Claus5 Gotsch, Hinrich4, Johan3 Götsch, Peter2 Gotsch, Peter1) was born October 15, 1957 in Pittsburg, Kansas. Diane died August 10, 1987 in Anaheim, California at 29 years of age. Diane Marie married Dennis Pape on June 23, 1979. 2383 i. Jessica11 Pape, was born November 12, 1981 in Philadelphia, Pennsylvania. 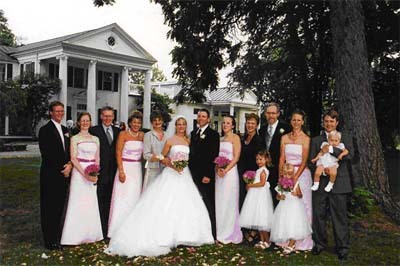 Jessica married John Kinzer on September 12, 2005. + 2384 ii. Joshua Pape, was born February 28, 1983 in Los Angeles, California. 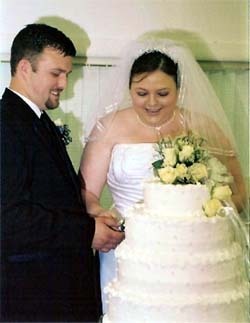 Joshua married Jessica Ruttgers on June 12, 2004. 1662. Gary Lee10 Flint (James Wilford9, Virgil8, Clara Elizabeth7 Gottsch, Peter6 Gøttsch, Claus5 Gotsch, Hinrich4, Johan3 Götsch, Peter2 Gotsch, Peter1) was born June 22, 1957 in Healdsburg, California. 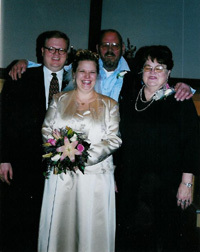 Gary Lee married Heidi Lynn Eisenhouer on May 15, 1999. Heidi was born September 15, 1975 in Petaluma, California. 2385 i. Hayden Rose11 Flint, was born December 13, 1995 in Las Vegas, Nevada. 2386 ii. David James Flint, was born February 7, 2000. 1663. Steven Glenn10 Flint (James Wilford9, Virgil8, Clara Elizabeth7 Gottsch, Peter6 Gøttsch, Claus5 Gotsch, Hinrich4, Johan3 Götsch, Peter2 Gotsch, Peter1) was born December 10, 1960 in Sebastopol, California. Steven Glenn married twice. Steven Glenn married Jeanette Marie Koverman on February 6, 1982 in Sebastopol, California. Jeanette was born May 18, 1961 in Rosa, California. Steven Glenn married Danielle Seratt on September 19, 1998. 2387 i. Cassandra Marie11 Flint, was born June 29, 1985 in Santa Rosa, California. 2388 ii. Jesse Lee Flint, was born April 17, 1989 in Santa Rosa, California. 1664. Karen Gail10 Flint (James Wilford9, Virgil8, Clara Elizabeth7 Gottsch, Peter6 Gøttsch, Claus5 Gotsch, Hinrich4, Johan3 Götsch, Peter2 Gotsch, Peter1) was born December 24, 1965 in Sebastopol, California. Karen Gail married Gary Thomas Winter on May 18, 1991 in Sebastopol, California. Gary was born June 23, 1966 in Murray, Minnesota. 2389 i. Kayla Marie11 Winter, was born June 21, 1993 in Santa Rosa, California. 2390 ii. Kevin James Winter, was born September 19, 2000 in Santa Rosa, California. 1665. Michael Wayne10 Flint (Donald9, Virgil8, Clara Elizabeth7 Gottsch, Peter6 Gøttsch, Claus5 Gotsch, Hinrich4, Johan3 Götsch, Peter2 Gotsch, Peter1) was born April 11, 1959 in Santa Rosa, California. Michael Wayne married twice. Michael Wayne married Unknown. Michael Wayne married Lori Ann Turner on September 30, 1980. 2392 ii. Shawn Michael Flint, was born December 20, 1980 in Santa Rosa, California. 1667. Lorrie Lee Ann10 Flint (Fredrick Arthur9, Virgil8, Clara Elizabeth7 Gottsch, Peter6 Gøttsch, Claus5 Gotsch, Hinrich4, Johan3 Götsch, Peter2 Gotsch, Peter1) was born January 31, 1967 in Santa Rosa, California. Lorrie Lee Ann married Charles Norwood Dedrick on April 18, 1987. Charles was born March 5, 1965 in Santa Rosa, California. 2393 i. Kelvin Charles11 Dedrick, was born March 5, 1991 in Santa Rosa, California. 1668. 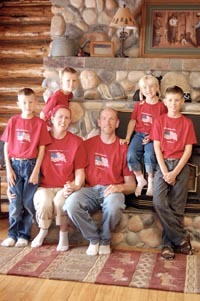 Wendy10 Flint (Fredrick Arthur9, Virgil8, Clara Elizabeth7 Gottsch, Peter6 Gøttsch, Claus5 Gotsch, Hinrich4, Johan3 Götsch, Peter2 Gotsch, Peter1) was born June 24, 1969 in Springfield, Oregon. 2394 i. Elise Diane11 Adams, was born February 5, 1995 in Boise, Idaho. 1671. Judith Lynn10 Grenier (Marjorie Mae9 Misfeldt, Charles8, Adele7 Gottsch, Carl (Charles) Frederick6 Gøttsch, Claus5 Gotsch, Hinrich4, Johan3 Götsch, Peter2 Gotsch, Peter1) was born September 19, 1950. Judith Lynn married Paul Hansen. Paul died June 16, 2009 at 61 years of age from a heart attack. 2395	i.	Christopher Michael11 Hansen, was born August 31, 1975. 2396	ii. Karen Lea Hansen, was born September 14, 1976. 2397	iii. Jennifer Lynn Hansen, was born October 12, 1978. 2398	iv. Elizabeth Ann Hansen, was born June 18, 1980. 1672. Kathleen Ann10 Grenier (Marjorie Mae9 Misfeldt, Charles8, Adele7 Gottsch, Carl (Charles) Frederick6 Gøttsch, Claus5 Gotsch, Hinrich4, Johan3 Götsch, Peter2 Gotsch, Peter1) was born June 24, 1951. Kathleen Ann married Mahlon Sorensen. 2399	i.	Keith Mahlon11 Sorensen, was born October 29, 1984. 2400	ii. Bradley Edward Sorensen, was born April 26, 1987. 2401	iii. Brianna Sorensen, was born May 26, 1989. 1673. Cynthia Sue10 Grenier (Marjorie Mae9 Misfeldt, Charles8, Adele7 Gottsch, Carl (Charles) Frederick6 Gøttsch, Claus5 Gotsch, Hinrich4, Johan3 Götsch, Peter2 Gotsch, Peter1) was born May 27, 1952. Cynthia Sue married Wayne Canter. 2402	i.	Melissa Mae11 Canter, was born February 21, 1992. 1675. Mary Kay10 Grenier (Marjorie Mae9 Misfeldt, Charles8, Adele7 Gottsch, Carl (Charles) Frederick6 Gøttsch, Claus5 Gotsch, Hinrich4, Johan3 Götsch, Peter2 Gotsch, Peter1) was born July 15, 1956. Mary Kay married Clyde Thomas Ryan. 2403	i.	Amanda Sue11 Ryan, was born January 31, 1983. 2404	ii. Robert Edward Ryan, was born April 9, 1985. 2405	iii. Thomas Clyde Ryan, was born December 3, 1988. 1677. Rene'e Marie10 Grenier (Marjorie Mae9 Misfeldt, Charles8, Adele7 Gottsch, Carl (Charles) Frederick6 Gøttsch, Claus5 Gotsch, Hinrich4, Johan3 Götsch, Peter2 Gotsch, Peter1) was born March 18, 1965. Rene'e Marie married Tracy Dale Peterson on August 5, 1986. 2406 i.	Aerol Edward11 Peterson, was born March 4, 1987. 2407	ii. Jacob Charles Peterson, was born June 24, 1989. 2708	iii. Nathan Dale Peterson, was born August 23, 1991. 1689. Matthew Charles10 Misfeldt (Ivan Gale9, Charles8, Adele7 Gottsch, Carl (Charles) Frederick6 Gøttsch, Claus5 Gotsch, Hinrich4, Johan3 Götsch, Peter2 Gotsch, Peter1) was born May 31, 1970. Matthew Charles married Jennifer Ann Obal on September 17, 1995 in Omaha, Nebraska. 2409 i. Logan Gale11 Misfeldt, was born December 9, 2013 in Omaha, Nebraska. 1700. Leslie Anne10 Bishop (Jacquelyn Marie9 Gottsch, Wilfred William8, Charles Otto7, Carl (Charles) Frederick6 Gøttsch, Claus5 Gotsch, Hinrich4, Johan3 Götsch, Peter2 Gotsch, Peter1) was born October 23, 1957 in Nebraska. Leslie Anne married Robin Leon Hartung on May 31, 1985 in Nebraska. 2411 ii. Elise Diane Hartung, was born December 22, 1988 in Nebraska. 2412 iii. Grace Katharyn Hartung, was born March 8, 1993 in Nebraska. 1703. David Earl10 Miller (O'Connor) (Leon Merlin "Butch"9 Miller, Gloria8 Gottsch, Charles Otto7, Carl (Charles) Frederick6 Gøttsch, Claus5 Gotsch, Hinrich4, Johan3 Götsch, Peter2 Gotsch, Peter1) was born September 9, 1963 Omaha, Nebraska. David Earl married Elaine Hill on May 8, 1983 in Las Vegas, Nevada. Elaine was born September 20, 1963. 2413 i. Austin David11 O'Conner, was born January 2, 1999 in Dallas, Texas. 1704. Donald Leon10 Miller (O'Connor) (Leon Merlin "Butch"9 Miller, Gloria8 Gottsch, Charles Otto7, Carl (Charles) Frederick6 Gøttsch, Claus5 Gotsch, Hinrich4, Johan3 Götsch, Peter2 Gotsch, Peter1) was born March 23, 1965 in Omaha, Nebraska. Donald Leon married twice. Donald Leon married Annie O'Conner in Burien, Washington. Donald Leon married Amy McKenzie Amy was born November 1974. 2414 i. Zackery11 O'Conner, was born March 22, 1994. 2415 ii. Levi Scott McKenzie-O'Conner, was born May 20, 1997. 1706. Emily Katherine10 Miller (Leon Merlin "Butch"9 Miller, Gloria8 Gottsch, Charles Otto7, Carl (Charles) Frederick6 Gøttsch, Claus5 Gotsch, Hinrich4, Johan3 Götsch, Peter2 Gotsch, Peter1) was born February 18, 1981 in Omaha, Nebraska. 2416 i. Jeremiah Timothy11 Miller, was born February 24, 2003. 1707. Jeffery Leon10 Miller (Leon Merlin "Butch"9 Miller, Gloria8 Gottsch, Charles Otto7, Carl (Charles) Frederick6 Gøttsch, Claus5 Gotsch, Hinrich4, Johan3 Götsch, Peter2 Gotsch, Peter1) was born March 13, 1983 in Omaha, Nebraska. Jeffery Leon married Stacy Benish. 2417 i. Amara Jai11 Miller, was born April 17, 2003 in Omaha, Nebraska. 1722. Ellen10 Jipp (Edwin Theodore9, Edwin Theodore8, Claus Henry7, Louisa Sophie Margrethe6 Göttsch, Claus5 Gotsch, Hinrich4, Johan3 Götsch, Peter2 Gotsch, Peter1) was born December 28, 1956. 1724. Martin Baker10 Jipp (Edwin Theodore9, Edwin Theodore8, Claus Henry7, Louisa Sophie Margrethe6 Göttsch, Claus5 Gotsch, Hinrich4, Johan3 Götsch, Peter2 Gotsch, Peter1) was born November 25, 1963 in Blair, Nebraska. Martin Baker married Debra Ann Adir on October 5, 1991 in Blair, Nebraska. Debra Ann is the daughter of Donald Sprang and Mrs. Donald Sprang. 1725. Barbara Lou10 McCormick (Dorothy Jean9 Klauck, Dorothy Louise8 Jipp, Claus Henry7, Louisa Sophie Margrethe6 Göttsch, Claus5 Gotsch, Hinrich4, Johan3 Götsch, Peter2 Gotsch, Peter1). Barbara Lou married Lynn Heath Miller. + 2422 i. Aaron Heath11 Miller. + 2423 ii. Jessalyn Kristine Miller. 1726. Richard Allen10 McCormick (Dorothy Jean9 Klauck, Dorothy Louise8 Jipp, Claus Henry7, Louisa Sophie Margrethe6 Göttsch, Claus5 Gotsch, Hinrich4, Johan3 Götsch, Peter2 Gotsch, Peter1). Richard Allen married three times. Richard Allen married Kathy Lynn Bockes. Richard Allen married Victoria Larkins. Richard Allen married Bridgid Fitzgerald. 2424 i. Ryan Daniel11 McCormick. 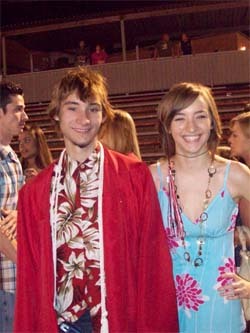 He married Julie Covell. + 2425 ii. Tara Christine McCormick. 2426 iii. Jon Richard McCormick. 2427 iv. Andrew Patrick McCormick. 2428 v. Lauren Lee McCormick. 2429 vi. Jack Joseph McCormick. 1727. Susan Kathleen10 McCormick (Dorothy Jean9 Klauck, Dorothy Louise8 Jipp, Claus Henry7, Louisa Sophie Margrethe6 Göttsch, Claus5 Gotsch, Hinrich4, Johan3 Götsch, Peter2 Gotsch, Peter1). Susan Kathleen married Gary Lee Allen. + 2430 i. Katherine Claire11 Allen. 1728. Thomas Keith10 McCormick (Dorothy Jean9 Klauck, Dorothy Louise8 Jipp, Claus Henry7, Louisa Sophie Margrethe6 Göttsch, Claus5 Gotsch, Hinrich4, Johan3 Götsch, Peter2 Gotsch, Peter1). Thomas Keith married twice. 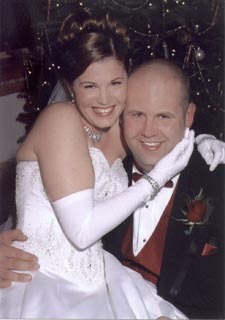 Thomas Keith married Tracy Lynn Haynes. Thomas Keith married Chandra Nichole Martin. 2431 i. Emily Louise11 McCormick. 2432 ii. Molly Jean McCormick. 2433 iii. Nolan Quinn McCormick. 1729. Mark Eugene10 Nielsen (Carolyn Sue9 Klauck, Dorothy Louise8 Jipp, Claus Henry7, Louisa Sophie Margrethe6 Göttsch, Claus5 Gotsch, Hinrich4, Johan3 Götsch, Peter2 Gotsch, Peter1). Mark Eugene married Jacquline Lee Anderson. 1736. Kathryn Louise10 Melvin (Richard Ernest9, Roy Stevenson8, Caroline7 Jipp, Louisa Sophie Margrethe6 Göttsch, Claus5 Gotsch, Hinrich4, Johan3 Götsch, Peter2 Gotsch, Peter1) was born June 16, 1951 in Pierre, South Dakota. Kathryn Louise married Robert Gunderson on January 15, 1972 in Pierre, South Dakota. Robert was born November 10, 1950 in Yankton, South Dakota. 2436 i. Bryan Robert11 Gunderson, was born August 4, 1972 in Pierre, South Dakota. 2437 ii. 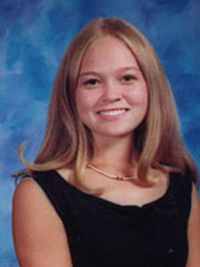 Teresa Gail Gunderson, was bornApril 25, 1974 in Pierre, South Dakota. 2438 iii. Jason Scott Gunderson, was born March 29, 1977 in Pierre, South Dakota. 2439 iv. Kristin Ellen Gunderson, was born December 2, 1978 in Pierre, South Dakota. 1737. Larry Allen10 Melvin (Richard Ernest9, Roy Stevenson8, Caroline7 Jipp, Louisa Sophie Margrethe6 Göttsch, Claus5 Gotsch, Hinrich4, Johan3 Götsch, Peter2 Gotsch, Peter1) was born June 10, 1954 in Pierre, South Dakota. 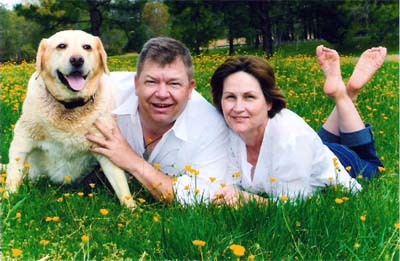 Larry Allen married Hazel Irene Eckstrom on December 21, 1974 in Pierre, South Dakota. Hazel was born May 10, 1956 in Thermopalis, Wyoming. + 2440	i. Timothy Allen11 Melvin, was born May 19, 1975. + 2441 ii. Richard Allen Melvin, was born December 2, 1978 in Rapid City, South Dakota. 1738. Janice Lee10 Maahs (Robert Willis9, Katherine Louise8 Melvin, Caroline7 Jipp, Louisa Sophie Margrethe6 Göttsch, Claus5 Gotsch, Hinrich4, Johan3 Götsch, Peter2 Gotsch, Peter1) was born April 11, 1958 in Los Angeles, California. Janice Lee married David W. Keck on June 21, 1987 in Ballard, Washington. 2442 i. Michael Davidson11 Keck, was born February 13, 1994 in Neenah, Wisconsin. 1739. 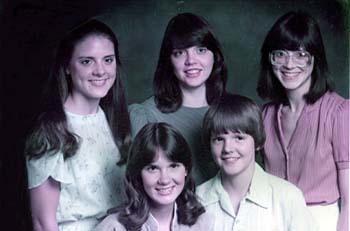 Cheryl Lyn10 Maahs (Robert Willis9, Katherine Louise8 Melvin, Caroline7 Jipp, Louisa Sophie Margrethe6 Göttsch, Claus5 Gotsch, Hinrich4, Johan3 Götsch, Peter2 Gotsch, Peter1) was born June 21, 1960 in Los Angeles, California. Cheryl Lyn married Bradley Carl Schutz on January 5, 1985 in Puyallup, Washington. Bradley was born March 10, 1962 in Ft. Lewis, Washington. 2443 i. Ryan Carl11 Schutz, was born March 30, 1986 in Honolulu, Hawaii. 2444	ii. Curtis Trevor Schutz, was born October 6, 1987 in Honolulu, Hawaii. 1741. Kendra Louise10 Maahs (Howard Gordon9, Katherine Louise8 Melvin, Caroline7 Jipp, Louisa Sophie Margrethe6 Göttsch, Claus5 Gotsch, Hinrich4, Johan3 Götsch, Peter2 Gotsch, Peter1) was born September 9, 1966 in Hampton, Virginia. Kendra Louise married Christopher Linwood Lacy on October 5, 1996 in Richmond, Virginia. Christopher was born January 21, 1967 in Charlottesville, Virginia. 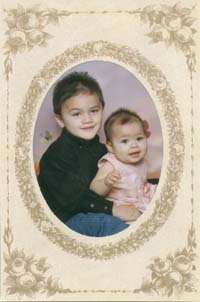 2445 i. Loretta Ann11 Lacy, was born November 5, 1998 in McLean, Virginia. Loretta Ann died November 5, 1998. 2446 ii. Susanna Margaret Lacy, was born September 12, 2000 in Woodbridge, Virginia. 2447 iii. 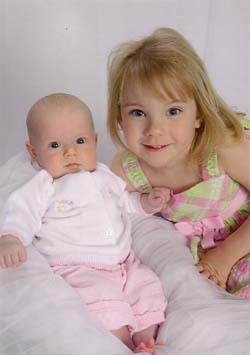 Annabel Jane Lacy, was born June 4, 2004 in Woodbridge, Virginia. 1744. Cynthia Jean10 Maahs (Howard Gordon9, Katherine Louise8 Melvin, Caroline7 Jipp, Louisa Sophie Margrethe6 Göttsch, Claus5 Gotsch, Hinrich4, Johan3 Götsch, Peter2 Gotsch, Peter1) was born June 18, 1971 in Newport News, Virginia. 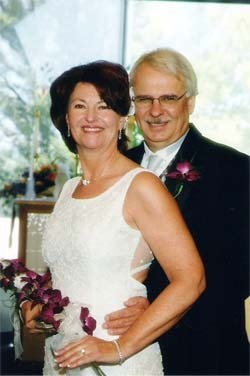 Cynthia Jean married Raymond Anthony Morath on July 3, 2005 in Reston, Virginia. Raymond was born October 5, 1965 in Wichita Falls, Texas. 2448	i. Owen Louis11 Morath, was born July 21, 2007 in Loudoun Country, Virginia. 2449 ii. Claire Josephine Morath, was born June 14, 2009 in Loudoun Country, Virginia. 1745. Gordon Lewis10 Maahs (Howard Gordon9, Katherine Louise8 Melvin, Caroline7 Jipp, Louisa Sophie Margrethe6 Göttsch, Claus5 Gotsch, Hinrich4, Johan3 Götsch, Peter2 Gotsch, Peter1) was born April 30, 1974 in Newport News, Virginia. Gordon Lewis married Doreen Margit Kunos on June 4, 2011 in Gaithersburg, Maryland. Doreen was born September 4, 1974 in Montreal, Canada. 2450	i. Maxwell Gordon Laszlo11 Maahs, was born June 8, 2011 in Rockville, Maryland. 1746. John J.10 Van Hoozer Jr. (Caroline Elizabeth9 Fockler, Caroline8 Melvin, Caroline7 Jipp, Louisa Sophie Margrethe6 Göttsch, Claus5 Gotsch, Hinrich4, Johan3 Götsch, Peter2 Gotsch, Peter1) was born May 12, 1940 in Omaha, Nebraska. John J. died June 17, 2014 at 74 years of age. John J. married twice. John J. married Claudell Anne Nelson on December 8, 1961 in Omaha, Nebraska. Claudell was born October 8, 1941 in Omaha, Nebraska. Claudell died December 6, 2009 in Fremont, Nebraska at 68 years of age. John J. married Virginia Ann Goeking on August 14, 1982 in Clinton, Missouri. Virginia was born July 23, 1949 in Independence, Missouri. + 2451 i. David Allan11 Van Hoozer, was born October 22, 1962. 2452 ii. Kenneth Van Hoozer, was born April 16, 1965 in Omaha, Nebraska. Kenneth married Terri Lynne Johnson on November 8, 1997 in Las Vegas, Nevada. Terri was born October 8, 1953 in Flat River, Missouri. Terri died November 9, 1999 in Kansas City, Missouri at 46 years of age. 2453 iii. Joseph Claude Van Hoozer, was born January 11, 1968 in Kansas City, Missouri. He married Denise Anne Butler on September 8, 2012 in Irving, Texax. Denise Anne was born August 22, 1958 in Dallas, Texas. 1747. Barbara May10 Godec (Caroline Elizabeth9 Fockler, Caroline8 Melvin, Caroline7 Jipp, Louisa Sophie Margrethe6 Göttsch, Claus5 Gotsch, Hinrich4, Johan3 Götsch, Peter2 Gotsch, Peter1) was born February 15, 1950 in Omaha, Nebraska. Barbara May married twice. Barbara May married James Roger Pendegraft on June 22, 1974 in Omaha, Nebraska. James was born November 8, 1945 in Crescent, Iowa. 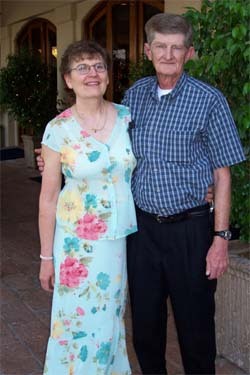 Barbara May married Charles Frederick Davis on May 1, 2004 in Peoria, Arizona. Charles was born July 30, 1946 in Albany, New York. Charles died July 3, 2015 in Phoenix, Arizona at 68 years of age. + 2455 ii. Living Pendegraft. + 2456	iii. Ryan James Pendegraft, was born October 6, 1983 in Phoenix, Arizona. 1749. Kelli Ann10 Gregerson (Jean Frederick9, Helen Louise8 Jipp, William Carl Frederick7, Louisa Sophie Margrethe6 Göttsch, Claus5 Gotsch, Hinrich4, Johan3 Götsch, Peter2 Gotsch, Peter1) was born August 3, 1964 in Shreeveport, Louisianna. 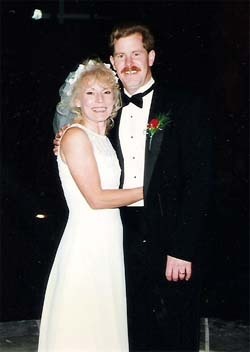 Kelli Ann married Brian Dee Bentley on April 14, 1997 in Omaha, Nebraska. Brian was born October 27, 1965 in Fremont, Nebraska. 2457 i. Brendan Dee11 Bentley, was born September 7, 1999 in Omaha, Nebraska. 2458	ii. Grace Kathryn Bentley, was born January 15, 2002 in Omaha, Nebraska. 2459 iii. 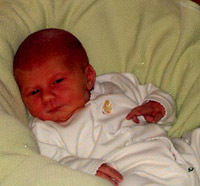 Claire Elisabeth Bentley, was born June 5, 2004 in Omaha, Nebraska. 1750. Keith Ervin10 Gregerson (Jean Frederick9, Helen Louise8 Jipp, William Carl Frederick7, Louisa Sophie Margrethe6 Göttsch, Claus5 Gotsch, Hinrich4, Johan3 Götsch, Peter2 Gotsch, Peter1) was born December 3, 1966 in Council Bluffs, Iowa. Keith Ervin married Kristin Ann Kruger on October 27, 1990 in Omaha, Nebraska. Kristin was born December 28, 1969 in Fremont, Nebraska. 2460	i. Alyssa Joy11 Gregerson, was bornOctober 8, 1992 in Omaha, Nebraska. 2461 ii. Zachary Andrew Gregerson, was born March 28, 1995 in Omaha, Nebraska. 2462 iii. Chase Michael Gregerson, was born December 29, 1997 in Omaha, Nebraska. 2463 iv. Anna Elizabeth Gregerson, was born January 17, 2001 in Omaha, Nebraska. 1751. Paula Jean10 Gregerson (Jean Frederick9, Helen Louise8 Jipp, William Carl Frederick7, Louisa Sophie Margrethe6 Göttsch, Claus5 Gotsch, Hinrich4, Johan3 Götsch, Peter2 Gotsch, Peter1) was born September 11, 1969 in Omaha, Nebraska. Paula Jean married Scott Robert Walter Wedel on November 30, 1990 in Omaha, Nebraska. Scott was born April 17, 1971 in Denver, Colorado. 2464 i. Erik Paul11 Wedel, was born June 20, 1991 in Omaha, Nebraska. 2465 ii. Brittnie Jean Wedel, was born August 31, 1994 in Kearney, Nebraska. 2466 iii. Lyndsie Ann Wedel, was born February 3, 1998 in Kearney, Nebraska. 2467 iv. Jakob Brock Wedel, was born April 18, 2002 in Norfolk, Nebraska. 1752. Raymond10 Dworack (Marie Edna9 Jipp, Richard Frederick8, William Carl Frederick7, Louisa Sophie Margrethe6 Göttsch, Claus5 Gotsch, Hinrich4, Johan3 Götsch, Peter2 Gotsch, Peter1). 2469 ii. Raymond Dworack Jr.
1753. Joseph10 Dworack (Marie Edna9 Jipp, Richard Frederick8, William Carl Frederick7, Louisa Sophie Margrethe6 Göttsch, Claus5 Gotsch, Hinrich4, Johan3 Götsch, Peter2 Gotsch, Peter1). 1754. Carol10 Dworack (Marie Edna9 Jipp, Richard Frederick8, William Carl Frederick7, Louisa Sophie Margrethe6 Göttsch, Claus5 Gotsch, Hinrich4, Johan3 Götsch, Peter2 Gotsch, Peter1). 1755. Nancy10 Dworack (Marie Edna9 Jipp, Richard Frederick8, William Carl Frederick7, Louisa Sophie Margrethe6 Göttsch, Claus5 Gotsch, Hinrich4, Johan3 Götsch, Peter2 Gotsch, Peter1) was born in Omaha, Nebraska. 1762. Roxanne10 Jones (Twin) (Marilyn Elaine9 Jipp, Max Milan8, William Carl Frederick7, Louisa Sophie Margrethe6 Göttsch, Claus5 Gotsch, Hinrich4, Johan3 Götsch, Peter2 Gotsch, Peter1) was born June 5, 1962 in Blair, Nebraska. 2478 i. Cory Lynn11 Grandgenett (Twin), was born September 18, 1992. 2479 ii. Randi Marie Grandgenett (Twin), was born September 18, 1992. 2480 iii. Jared Michael Grandgenett, was born April 7, 1997. 1763. Robin10 Jones (Twin) (Marilyn Elaine9 Jipp, Max Milan8, William Carl Frederick7, Louisa Sophie Margrethe6 Göttsch, Claus5 Gotsch, Hinrich4, Johan3 Götsch, Peter2 Gotsch, Peter1) was born June 5, 1962 in Blair, Nebraska. Robin married Thomas Edward Breedlove. Thomas was born August 2, 1962 in Red Oak, Iowa. 2481 i. Aidan Charles11 Breedlove, was born February 23, 1998. 2482 ii. Nolan Thomas Breedlove, was born June 9, 2000. 1764. Ross Lowell10 Jones (Marilyn Elaine9 Jipp, Max Milan8, William Carl Frederick7, Louisa Sophie Margrethe6 Göttsch, Claus5 Gotsch, Hinrich4, Johan3 Götsch, Peter2 Gotsch, Peter1) was born September 22, 1964 in Blair, Nebraska. Ross Lowell married Karen Lynn Reruka. Karen was born March 4, 1964 in Lincoln, Nebraska. 2483 i. Nicholas11 Jones, was born June 24, 1993. 2484 ii. Samuel Joseph Jones, was born March 10, 1997. 2485 iii. Luke Michael Jones (Twin), was born June 4, 1999. 2486 iv. Matthew Thomas Jones (Twin), was born June 4, 1999. 2487 v. Simon Jones, was born July 18, 2001. 1765. Lonnie Dale10 Jipp (Norman Eugene9, Max Milan8, William Carl Frederick7, Louisa Sophie Margrethe6 Göttsch, Claus5 Gotsch, Hinrich4, Johan3 Götsch, Peter2 Gotsch, Peter1) was born July 22, 1966 in Blair, Nebraska. Lonnie Dale married Peggy Unknown. 1766. Shannon Lee10 Jipp (Norman Eugene9, Max Milan8, William Carl Frederick7, Louisa Sophie Margrethe6 Göttsch, Claus5 Gotsch, Hinrich4, Johan3 Götsch, Peter2 Gotsch, Peter1) was born May 5, 1969 in Blair, Nebraska. 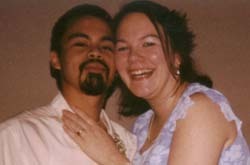 Shannon Lee married Ben Sunds. Ben was born January 3, 1969. 2490 i. Jessica Marie11 Sunds, was born July 26, 1999. 2491 ii. 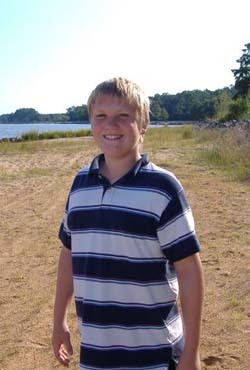 Garett Christen Sunds, was born March 3, 2002. 1767. 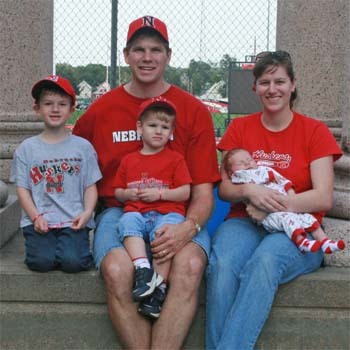 Jill Rae10 Jipp (Norman Eugene9, Max Milan8, William Carl Frederick7, Louisa Sophie Margrethe6 Göttsch, Claus5 Gotsch, Hinrich4, Johan3 Götsch, Peter2 Gotsch, Peter1) was born May 8, 1972 in Blair, Nebraska. Jill Rae married Scott Rahn. Scott was born August 27, 1981 in Fairfax, Virginia. 2492 i. Alexandra11 Rahn, was born August 7, 2001. 2493 ii. Andrew Joseph Rahn, was born January 12, 2006. 1768. Christopher10 Taylor (Rita Joyce9 Jipp, Arnold Randolph8, William Carl Frederick7, Louisa Sophie Margrethe6 Göttsch, Claus5 Gotsch, Hinrich4, Johan3 Götsch, Peter2 Gotsch, Peter1) was born October 21, 1968 in Phoenix, Arizona. 2494 i. Shea Edward Pace11 Fuhrman, was born July 9, 1990 in Omaha, Nebraska. 2495 ii. Allisa Taylor, was born July 1999. 2496 iii. Reese Austin Taylor, was born June 10, 2000. 1770. Ronald Wyatt10 Smith (Doris Mae9 Jipp, Arnold Rhinehart8, William Carl Frederick7, Louisa Sophie Margrethe6 Göttsch, Claus5 Gotsch, Hinrich4, Johan3 Götsch, Peter2 Gotsch, Peter1) was born October 1, 1964 in Blair, Nebraska. Ronald Wyatt married Cindy Joe Murphy. Cindy Joe was born December 26, 1962 in Omaha, Nebraska. 2497	i.	Brandon Andrew11 Smith, was born April 18, 1993 in Omaha, Nebraska. 1771. Jeffery Scott10 Smith (Doris Mae9 Jipp, Arnold Rhinehart8, William Carl Frederick7, Louisa Sophie Margrethe6 Göttsch, Claus5 Gotsch, Hinrich4, Johan3 Götsch, Peter2 Gotsch, Peter1) was born January 10, 1969 in Blair, Nebraska. Jeffery Scott married Michelle Susette Hunt. Michelle Susette, was born July 20, 1968 in Omaha, Nebraska. 2498	i. Summer Lauren11 Smith, was born April 29, 1996. 2499	ii. Gabriel Scott Smith, was born April 15, 1998. 2500	iii. Griffin Reed Smith, was born August 21, 2000. 1772. Tersea Ann10 Cornick (Deloris Ann9 Jipp, Arnold Randolph8, William Carl Frederick7, Louisa Sophie Margrethe6 Göttsch, Claus5 Gotsch, Hinrich4, Johan3 Götsch, Peter2 Gotsch, Peter1) was born April 30, 1963 in Iowa. Tersea Ann married three times. Tersea Ann married Larry Janasek before 1981. 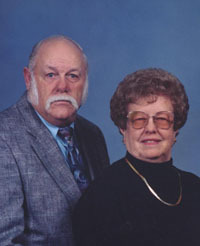 Tersea Ann married Des Larsen before 1989. Tersea Ann married Dave Miller before 1995. 2501 i. Jeremy Michael11 Janasek. 2502 ii. Ashley Renee Janasek. 2503 iii. Desiree Larsen, was born September 4, 1989. 2504 iv. Zachary David Miller, was born March 22, 1995. 1773. Mark10 Cornick (Deloris Ann9 Jipp, Arnold Randolph8, William Carl Frederick7, Louisa Sophie Margrethe6 Göttsch, Claus5 Gotsch, Hinrich4, Johan3 Götsch, Peter2 Gotsch, Peter1) was born July 26, 1968 in Blair, Nebraska. 2505 i. Kaitlyn Elizabeth11 Cornick, was born October 11, 1999. 2506 ii. Matthew Cornick, was born February 13, 2002. 1778. Alisha Raquel10 Jipp (Paula Lorraine9, Fritz8, William Carl Frederick7, Louisa Sophie Margrethe6 Göttsch, Claus5 Gotsch, Hinrich4, Johan3 Götsch, Peter2 Gotsch, Peter1) was born June 22, 1967 in National City, California. Alisha Raquel married Doyle Morrison on August 15, 1987 in Chula Vista, California. Doyle is the of Ed Jr. and Carol Hawkins. Doyle was born December 2, 1962 in San Diego, California. 2507	i.	Ashley Riechell11 Morrison, was born November 1, 1992 in San Diego, California. 2508	ii. Stuart Wayne Morrison, was born September 26, 1996 in San Diego, California. 1787. Andrew Wayne10 Jipp (Steve9, George H.8, William Carl Frederick7, Louisa Sophie Margrethe6 Göttsch, Claus5 Gotsch, Hinrich4, Johan3 Götsch, Peter2 Gotsch, Peter1)was born November 28, 1976. Andrew Wayne married Kimberley Fichtner on June 24, 2000. 2509 i. Matthew Lee11 Jipp, was born January 20, 2004. 2510	ii. Eli Wayne Jipp, was born August 26, 2006. Eli died 2006 at less than one year of age. 2511 iii. Faith Ann Jipp, was born September 25, 2007. 1789. Amy Lynn10 Jipp (Kieth9, George H.8, William Carl Frederick7, Louisa Sophie Margrethe6 Göttsch, Claus5 Gotsch, Hinrich4, Johan3 Götsch, Peter2 Gotsch, Peter1)was born January 14, 1983. Amy Lynn married Tom Schwertley. 2512 i. Kasey Alaina11 Schwertley, was born May 25, 2005. 1791. Ulrike10 Göttsch (Klaus Robert Emil9, Franz Emil8, Emil Arthur7, Catharina (Trine)6 Götsch, Hinrich5 Gotsch, Hinrich4, Johan3 Götsch, Peter2 Gotsch, Peter1)was born in Heidelberg, Germany. Ulrike married Jochem Schaps in Aachen, Germany. Jochem was born in Aachen, Germany. 2513 i. Son11 Schaps, was born in Germany. 2514 ii. Daughter Schaps, was born in Germany. 1792. Carsten10 Göttsch (Klaus Robert Emil9, Franz Emil8, Emil Arthur7, Catharina (Trine)6 Götsch, Hinrich5 Gotsch, Hinrich4, Johan3 Götsch, Peter2 Gotsch, Peter1)was born in Neuwied on Rhine, Germany. Carsten married Regina Wieczorek in Mönchengladbach, Germany. Regina was born in Mönchengladbach, Germany. 2515 i. Son11 Göttsch, was born in Germany. 2516 ii. Daughter Göttsch, was born in Germany. 1822. Carol10 Sands (Darlene Faye9 Goettsch, LeRoy Herman William8, Alfred7, Wilhelm6, Hans5 Götsch, Hinrich4 Gotsch, Johan3 Götsch, Peter2 Gotsch, Peter1). 1823. Jeffrey10 Sands (Darlene Faye9 Goettsch, LeRoy Herman William8, Alfred7, Wilhelm6, Hans5 Götsch, Hinrich4 Gotsch, Johan3 Götsch, Peter2 Gotsch, Peter1) was born 1953. Jeffrey died November 10, 2010 in Pickerington, Ohio at 57 years of age. SIOUX CITY -- Jeffrey L. Sands, 57, of Pickerington, Ohio, formerly of Sioux City, died Nov. 10, 2010, from ALS. Services were held Nov. 12 at the Lutheran church in Pickerington. Burial will be at a later date. Survivors include his wife, Constanza; his children, Brandon, Corey, Sheila, Shari, Jennifer and Jeffrey; his parents, John and Darlene Sands; a sister, Carol and Tom O'Connor and their children, Corey, Carrie and Craig; a brother, Wayne and Joyce Sands and their children, Kayla, Skylar and Kelsey; a brother, David Sands and his children, Derek and Jesse; and several grandchildren. 1824. Wayne10 Sands (Darlene Faye9 Goettsch, LeRoy Herman William8, Alfred7, Wilhelm6, Hans5 Götsch, Hinrich4 Gotsch, Johan3 Götsch, Peter2 Gotsch, Peter1). 1825. David10 Sands (Darlene Faye9 Goettsch, LeRoy Herman William8, Alfred7, Wilhelm6, Hans5 Götsch, Hinrich4 Gotsch, Johan3 Götsch, Peter2 Gotsch, Peter1). 1826. Deanna Marie10 Goettsch (Helen Marie9 Goettsch, LeRoy Herman William8, Alfred7, Wilhelm6, Hans5 Götsch, Hinrich4 Gotsch, Johan3 Götsch, Peter2 Gotsch, Peter1) was born July 23, 1953 in Schaller, Iowa. Deanna Marie married twice. Deanna Marie married George Allen Schmidt on February 4, 1971 in South Souix City, Iowa. Deanna Marie married Kelly Hardisty 1980 in Council Bluffs, Iowa. 2531 i. Angela May11 Goettsch, was born August 6, 1966 in Dixon, Illinois. + 2532 ii. Michelle Lee Schmidt, was born September 18, 1971 in Omaha, Nebraska. + 2533 iii. Cynthia Lynn Schmidt, was born February 15, 1974. 1827. Marsha Ann10 Rickett (Helen Marie9 Goettsch, LeRoy Herman William8, Alfred7, Wilhelm6, Hans5 Götsch, Hinrich4 Gotsch, Johan3 Götsch, Peter2 Gotsch, Peter1) was born January 12, 1958. Marsha Ann married Randy Craig Berg on April 15, 1977. Randy was born January 15, 1957. 2534 i. Tory William11 Berg, was born November 27, 1977. Tory William married Kyndra Copas. + 2535 ii. Tiffany Deann Berg, was born July 6, 1981. 1828. Kendall10 Rickett (Helen Marie9 Goettsch, LeRoy Herman William8, Alfred7, Wilhelm6, Hans5 Götsch, Hinrich4 Gotsch, Johan3 Götsch, Peter2 Gotsch, Peter1) was born January 17, 1959. Kendall married Cheryl Smith on March 19, 1993. 2536 i. Joel11 Anderson, was born March 30, 1979. 2537 ii. Angela Skaggs, was born ca. 1980. 2538 iii. Drew (Smith) Rickett, was born February 2, 1985. 2533 iv. Bridgette Rickett, was born October 16, 1994. 1829. Suzanne10 Rickett (Helen Marie9 Goettsch, LeRoy Herman William8, Alfred7, Wilhelm6, Hans5 Götsch, Hinrich4 Gotsch, Johan3 Götsch, Peter2 Gotsch, Peter1) was born November 30, 1960 in Sac City, Iowa. Suzanne married twice. Suzanne married Edwin LeRoy Davis on July 25, 1981 in Port Aransas, Texas. Edwin was born May 5, 1958 in Iowa. Suzanne married Wayne Allen Davis on January 2, 1999 in Aransas Pass, Texas. + 2540	i. Jeremy LeRoy11 Davis, was born November 18, 1980 in Sioux City, Iowa. 2541 ii. 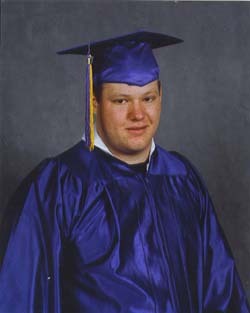 Brandon Lee Davis, was born June 23, 1985 in Corpus Christi, Texas. 2542 iii. Amanda Jean Davis, was born July 5, 1992 in Sioux City, Iowa. 1830. Cheryl Faye10 Rickett (Helen Marie9 Goettsch, LeRoy Herman William8, Alfred7, Wilhelm6, Hans5 Götsch, Hinrich4 Gotsch, Johan3 Götsch, Peter2 Gotsch, Peter1) was born February 18, 1962 in Iowa. 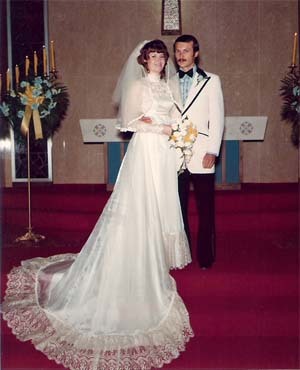 Cheryl Faye married Timothy Wayne Linafelter on June 1, 1981. Timothy was born October 22, 1960. + 2543 i. Heather Marie11 Rickett, was born March 6, 1978. + 2544 ii. Lisa Marie Linafelter, was born April 28, 1981. 2545	iii. Russell Albert Linafelter, was born July 16, 1982. 1845. Laurie Linnae10 Bloch (Kathleen Kay9 Krull, Dorothy Ann8 Goettsch, Louie7, Hans Friederich6, Hans5 Götsch, Hinrich4 Gotsch, Johan3 Götsch, Peter2 Gotsch, Peter1) was born January 20, 1968 in Minnesota. Laurie Linnae married Jon David Clauson on April 25, 1992 in Minnesota. 2546	i.	Joseph William11 Clauson, was born June 13, 2001 in Minnesota. 2547	ii. 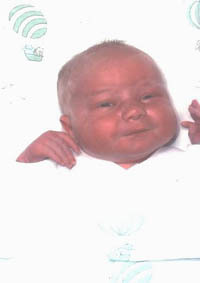 Jacob Michael Clauson, was born December 6, 2003 in Minnesota. 1850. Tiffany Noel10 Thompson (Susan Marie9 Goettsch, LaVern William8, Louie7, Hans Friederich6, Hans5 Götsch, Hinrich4 Gotsch, Johan3 Götsch, Peter2 Gotsch, Peter1) was born December 23, 1975. Tiffany Noel married Steven George on November 12, 1995. 1859. Kyle James10 Schmidt (Carol Jean9 Leonard, Mildred Cecelia8 Goettsch, Elmer7, Hans Friederich6, Hans5 Götsch, Hinrich4 Gotsch, Johan3 Götsch, Peter2 Gotsch, Peter1) was born January 29, 1965. Kyle James married twice. Kyle James married Lynnette Boell on October 13, 1984. Kyle James married Monica Sohm before 1999. + 2551 i. Jason Kyle11 Schmidt, was born April 8, 1985. 2552	ii. Jessica Ann Schmidt, was born August 25, 1994. 2553 iii. Angela Schmidt, was born September 25, 1998. 2554 iv. Katrina Nicole Schmidt, was born August 19, 1999. 1860. Kelly Kaye10 Schmidt (Carol Jean9 Leonard, Mildred Cecelia8 Goettsch, Elmer7, Hans Friederich6, Hans5 Götsch, Hinrich4 Gotsch, Johan3 Götsch, Peter2 Gotsch, Peter1) was born May 27, 1967. Kelly Kaye married three times. Kelly Kaye married Mike Stowe on July 13, 1990. Kelly Kaye married Bryce Meyer on August 28, 1993. Kelly Kaye married Ed Harris on June 22, 2002. 2555 i. Miranda Jean11 Stowe, was born November 14, 1990. 2556 ii. Hilary Kaye Stowe, was born March 20, 1992. 2557 iii. Sara Ann Meyer, was born January 6, 1994. 2558 iv. Rachel Raye Meyer, was born May 24, 1995. 2559 v. Danielle Christine Meyer, was born September 19, 1996. 1861. Kory Lee10 Schmidt (Carol Jean9 Leonard, Mildred Cecelia8 Goettsch, Elmer7, Hans Friederich6, Hans5 Götsch, Hinrich4 Gotsch, Johan3 Götsch, Peter2 Gotsch, Peter1) was born September 13, 1969. Kory Lee married Stephanie Lyn Nungesser on April 10, 1999. 2560 i. Austin Lee11 Schmidt, was born December 1, 2000. 2561 ii. Alex Jay Schmidt, was born March 6, 2003. 1862. Terri Ann10 Rupert (Janice Ann9 Leonard, Mildred Cecelia8 Goettsch, Elmer7, Hans Friederich6, Hans5 Götsch, Hinrich4 Gotsch, Johan3 Götsch, Peter2 Gotsch, Peter1) was born September 12, 1961. Terri Ann married Mark Grell on January 8, 1983 in Ida Grove, Iowa. Mark was born July 15, 1961. 2562 i. Aric Luverne11 Grell, was born April 7, 1985. 2563 ii. Alan Arthur Grell, was born August 20, 1989. 2564 iii. Ann Elise Grell, was born August 27, 2004. 1863. Todd Arthur10 Rupert (Janice Ann9 Leonard, Mildred Cecelia8 Goettsch, Elmer7, Hans Friederich6, Hans5 Götsch, Hinrich4 Gotsch, Johan3 Götsch, Peter2 Gotsch, Peter1) was born April 8, 1965. Todd Arthur married three times. Todd Arthur married Lynn Candor on August 30, 1986. Todd Arthur married Kelly Siebe on May 2, 1992. Todd Arthur married Susan Jamison on July 14, 1998. 2565 i. Dalton Arthur11 Rupert, was born October 15, 1992. 2566 ii. Spenser Todd Rupert (Twin), was born October 16, 1999. 2567 iii. Blake Andrew Rupert (Twin), was born October 16, 1999. 1865. Valerie Jo10 Leonard (Albert Luverne9, Mildred Cecelia8 Goettsch, Elmer7, Hans Friederich6, Hans5 Götsch, Hinrich4 Gotsch, Johan3 Götsch, Peter2 Gotsch, Peter1) was born February 14, 1963. Valerie Jo married twice. Valerie Jo married Daniel Hahn on May 9, 1981. Valerie Jo married John Cedar on October 9, 1995. + 2568	i. Dustin Leonard11 Hahn, was born October 21, 1981. 2569 ii. Drew Robert Hahn, was born February 11, 1984. 2570 iii. Whitney Jo Hahn, was born November 12, 1987. 2571 iv. Kaitlyn Elizabeth Cedar, was born April 6, 1995. 1866. Albert LuVerne10 Leonard III (Albert Luverne9, Mildred Cecelia8 Goettsch, Elmer7, Hans Friederich6, Hans5 Götsch Hinrich4 Gotsch, Johan3 Götsch, Peter2 Gotsch, Peter1) was born February 23, 1964. 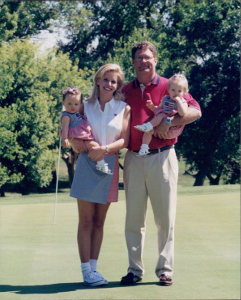 Albert LuVerne married Stacy Schley on December 29, 1990. Stacy was born July 23, 1967. 2572 i. Andrew Kim11 Leonard, was born January 7, 1993. 2573 ii. Joel Robert Leonard, was born September 7, 1995. 2574 iii. Leah Nyshelle Leonard, was born August 24, 2000. 1867. Leslie Ann10 Hansen (Judith Kaye9 Leonard, Mildred Cecelia8 Goettsch, Elmer7, Hans Friederich6, Hans5 Götsch, Hinrich4 Gotsch, Johan3 Götsch, Peter2 Gotsch, Peter1) was born October 11, 1968 in Cedar Falls, Iowa. Leslie Ann married Jason David Moore on December 27, 1993. Jason was bon June 7, 1970. 2575 i. Jacob David11 Moore, was born May 3, 2004. 2576 ii. Joshua Donald Moore, was born March 17, 2006. 1869. Derek Wesley10 Anderson (Dixie Lee9 Freese, Loretta Ann Obellina8 Goettsch, Elmer7, Hans Friederich6, Hans5 Götsch, Hinrich4 Gotsch, Johan3 Götsch, Peter2 Gotsch, Peter1) was born November 25, 1970 in St. Louis Park, Minnesota. Derek Wesley married Kristie Lynn Crawford on September 6, 2008. 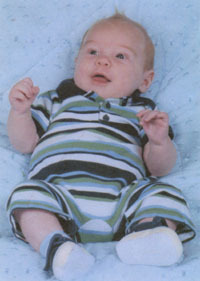 2577	i.	Nicklas Wesley11 Anderson, was born July 23, 2009 in Grapevine, Texas. 2578	ii. Benjamin Luke Anderson, born April 29, 2012. 1876. Amy Marie10 Goettsch (Thomas Eldon9, Murlen Henry8, Elmer7, Hans Friederich6, Hans5 Götsch, Hinrich4 Gotsch, Johan3 Götsch, Peter2 Gotsch, Peter1) was born May 29, 1974 in Storm Lake, Iowa. Amy Marie married Kurt Kevin Pautsch on February 10, 1995 in Holstein, Iowa. Kurt was born December 7, 1967 in Sac City, Iowa. 2579 i. Elizabeth Marie11 Pautsch, was born January 17, 1996 in Storm Lake, Iowa. 2580 ii. Laura Ann Pautsch, was born November 9, 1997 in Storm Lake, Iowa. 2581 iii. Katherine Kay Pautsch, was born October 5, 2000 in Storm Lake, Iowa. 2582	iv. Anna Lynn Pautsch, was born August 5, 2002 in Storm Lake, Iowa. 1877. Andrew Thomas10 Goettsch (Thomas Eldon9, Murlen Henry8, Elmer7, Hans Friederich6, Hans5 Götsch, Hinrich4 Gotsch, Johan3 Götsch, Peter2 Gotsch, Peter1) was born July 30, 1975 in Storm Lake, Iowa. Thomas married Janelle Marie Steele. Janelle was born in Storm Lake, Iowa September 28, 1977. 2583 i. Tristen Michael11 Goettsch, was born November 7, 1995 in Ida Grove, Iowa. 2584	ii. 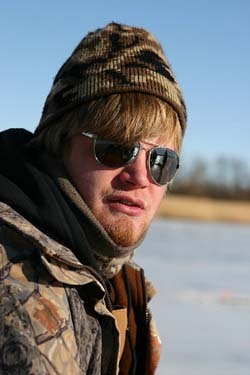 Austin Thomas Goettsch, was born June 2, 1998 in Storm Lake, Iowa. 2585 iii. Kallie Marie Goettsch, was born April 12, 2000 in Storm Lake, Iowa. 2586 iv. Andrew (Drew) Foster Goettsch, was born January 11, 2004 in Storm Lake, Iowa. 1879. Abby Lynn10 Goettsch (Thomas Eldon9, Murlen Henry8, Elmer7, Hans Friederich6, Hans5 Götsch, Hinrich4 Gotsch, Johan3 Götsch, Peter2 Gotsch, Peter1) was born April 19, 1979 in Storm Lake, Iowa. 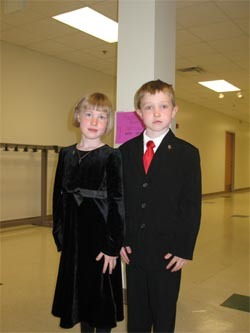 Abby Lynn married Philip Walleck on May 23, 2003 in Milford, Iowa. 2587 i. Noah Henry11 Walleck, was born March 15, 2006 in Spirit Lake, Iowa. 2588 ii. 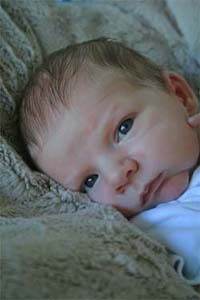 Simon Arthur Walleck, was born October 26, 2008 in Spirit Lake, Iowa. 1880. Amber Sue10 Goettsch (Thomas Eldon9, Murlen Henry8, Elmer7, Hans Friederich6, Hans5 Götsch, Hinrich4 Gotsch, Johan3 was born September 18, 1980 in Storm Lake, Iowa. Amber Sue married Patrick Friedmann on July 6, 2007 in Milford, Iowa. 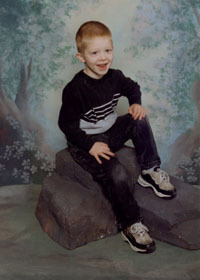 2589 i. Jacob Murlen11 Friedmann, was born November 16, 2007 in Galva, Iowa. 2590 ii. Janna Sue Friedmann, was born March 6, 2009 in Galva, Iowa. 1881. Alan Curtis10 Goettsch (Thomas Eldon9, Murlen Henry8, Elmer7, Hans Friederich6, Hans5 Götsch, Hinrich4 Gotsch, Johan3 Götsch, Peter2 Gotsch, Peter1) was born March 15, 1984 in Storm Lake, Iowa. Alan Curtis married Keely Dawn Van Houten. 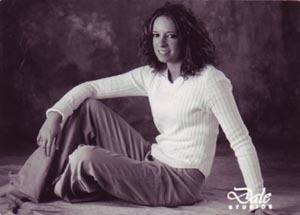 Keely was born March 7, 1985 in Ida Grove, Iowa. 2591 i. Grace May Magaret11 Goettsch, was born June 8, 2004 in Ida Grove, Iowa. 2592 ii. Isaac Elden Hans Goettsch, was born September 12, 2005 in Ida Grove, Iowa. 2593 iii. 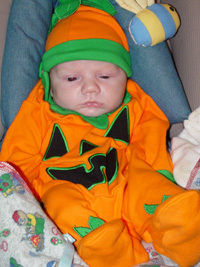 Alax Alan Curtis Goettsch, was born July 2, 2009 in Ida Grove, Iowa. 1886. Brooke10 Decker (George (Joe) Henry9, Lorraine Edna8 Goettsch, Melvin7, Hans Friederich6, Hans5 Götsch, Hinrich4 Gotsch, Johan3 Götsch, Peter2 Gotsch, Peter1) was born August 2, 1973 in Tempe, Arizona. 2594 i. Isabella Marie11 Decker, was born August 3, 2003. 1888. Selena10 Ross (Lorrie Lynn9 Decker, Lorraine Edna8 Goettsch, Melvin7, Hans Friederich6, Hans5 Götsch, Hinrich4 Gotsch, Johan3 Götsch, Peter2 Gotsch, Peter1) was born July 12, 1977 in California. Selena married Daniel Treister on October 21, 2001. 2595 i. Samuel Aryeh11 Treister. 2596 ii. Sima Bracha Treister. 1910. Samantha Jean Louise10 Church (Patricia Jean9 Wennberg, Mary Louise8 Atchison, Wilhelmina Margareta Augesta7 Gotch, Claus Hinrich6 Gotsch, Clas5, Clas4, Peter3 Götsch, Clas (Twin)2 Gotsche, Peter1 Gotsch) was born May 24, 1982 in Newberg, Oregon. Samantha Jean Louise married Anthony Dean Carter on December 18, 2004 in Oregon. Anthony Dean was born July 25, 1978 in Pullman, Washington. 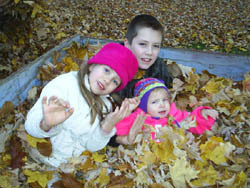 2597	i.	Nicolas Allen11 Carter, was born October 5, 2005 in Newberg, Oregon. 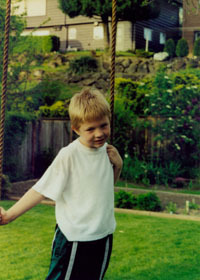 Nicolas Allen died October 5, 2005 in Newberg, Oregon at 1 day of age. 2598 ii. 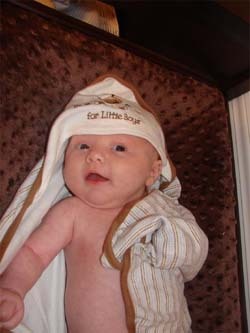 Bryce Nicholas Carter, was born December 14, 2006 in Newberg, Oregon. 1912. Leah Ellen10 Schilling (Kristina Lee9 Wennberg, Mary Louise8 Atchison, Wilhelmina Margareta Augesta7 Gotch, Claus Hinrich6 Gotsch, Clas5, Clas4, Peter3 Götsch, Clas (Twin)2 Gotsche, Peter1 Gotsch) was born August 23, 1982 in Portland, Oregon. Leah Ellen married Christopher Quevido on May 16, 2002 in Portland, Oregon. Christopher was born in Portland, Oregon. 2599	i.	Joshuah Kalani11 Quevido, was born September 27, 2002 in Portland, Oregon. 2600	ii. Kaili Leilani Quevido, was born March 22, 2005 in Portland, Oregon. 1915. Mickelle10 Campbell (Lewis Elmer9, Bernita8 Gotch, Adolph7, Claus Hinrich6 Gotsch, Clas5, Clas4, Peter3 Götsch, Clas2 Gotsche, Peter1 Gotsch) birth date unknown. 1916. Darren Edward10 Campbell (Lewis Elmer9, Bernita8 Gotch, Adolph7, Claus Hinrich6 Gotsch, Clas5, Clas4, Peter3 Götsch, Clas2 Gotsche, Peter1 Gotsch) birth date unknown. Darren Edward married Lisa Stamps. 1917. Scot Elliot10 Campbell (Lewis Elmer9, Bernita8 Gotch, Adolph7, Claus Hinrich6 Gotsch, Clas5, Clas4, Peter3 Götsch, Clas2 Gotsche, Peter1 Gotsch) birth date unknown. Scot Elliot married Candice Wood. 1919. Kara Lee10 Campbell (Lewis Elmer9, Bernita8 Gotch, Adolph7, Claus Hinrich6 Gotsch, Clas5, Clas4, Peter3 Götsch, Clas2 Gotsche, Peter1 Gotsch) birth date unknown. Kara Lee married Brandon Dart. 1920. Quinn Eugene10 Campbell (Lewis Elmer9, Bernita8 Gotch, Adolph7, Claus Hinrich6 Gotsch, Clas5, Clas4, Peter3 Götsch, Clas2 Gotsche, Peter1 Gotsch) birth date unknown. Quinn Eugene married Heather Clark. 1930. Linda Diane10 Reichman (Muriel Vernin9 Woolery, Ruth Helena Maria8 Sothmann, Hertha Maria "Hattie"7 Stender, Lena6 Götsch, Hans5 Gotsch, Mars4, Peter3 Götsch, Clas2 Gotsche, Peter1 Gotsch). Linda Diane married Paul Criswell. 2621	i. Jeffrey Paul11 Criswell. 2622 ii. Michael Larry Criswell. 1931. Sharon Kaye10 Reichman (Muriel Vernin9 Woolery, Ruth Helena Maria8 Sothmann, Hertha Maria "Hattie"7 Stender, Lena6 Götsch, Hans5 Gotsch, Mars4, Peter3 Götsch, Clas2 Gotsche, Peter1 Gotsch). Sharon Kaye married Ronald Keys. 2623	i. Ronald11 Keys Jr..
2624 ii. Renee Keys. Renee married Richard Laitinen. 1932. Regina Mary10 Gardiner (Peggy Lee9 Woolery, Ruth Helena Maria8 Sothmann, Hertha Maria "Hattie"7 Stender, Lena6 Götsch, Hans5 Gotsch, Mars4, Peter3 Götsch, Clas2 Gotsche, Peter1 Gotsch) was born January 25, 1949. Regina Mary married Tony Barsotti. 2625	i. Sarah Beth11 Barsotti, was born January 22, 1975. 2626 ii. Damen Barsotti, was born October 1977. 2627 iii. Teressa Barsotti, was born October 1980. 1933. Rex Joseph10 Gardiner (Peggy Lee9 Woolery, Ruth Helena Maria8 Sothmann, Hertha Maria "Hattie"7 Stender, Lena6 Götsch, Hans5 Gotsch, Mars4, Peter3 Götsch, Clas2 Gotsche, Peter1 Gotsch) was born January 19, 1953. Rex Joseph married Laura Ellen Bell. 2628	i. Melissa Rainbow11 Bell-Gardiner. 1934. Anna Ruth10 Gardiner (Peggy Lee9 Woolery, Ruth Helena Maria8 Sothmann, Hertha Maria "Hattie"7 Stender, Lena6 Götsch, Hans5 Gotsch, Mars4, Peter3 Götsch, Clas2 Gotsche, Peter1 Gotsch) was born March 20, 1954. Anna Ruth married Unknown McKnight. 2629 i. Michael11 McKnight, was born September 1977. 1935. Margaret Patricia10 Gardiner (Peggy Lee9 Woolery, Ruth Helena Maria8 Sothmann, Hertha Maria "Hattie"7 Stender, Lena6 Götsch, Hans5 Gotsch, Mars4, Peter3 Götsch, Clas2 Gotsche, Peter1 Gotsch) was born March 16, 1955. Margaret Patricia married John Richard Holmes. 2630 i. Joseph11 Holmes, was born March 17, 1981. 2631 ii. Jennafer Holmes, was born October 1982. 1938. Barbara Ann10 O'Dell (Klaris Gail9 Woolery, Ruth Helena Maria8 Sothmann, Hertha Maria "Hattie"7 Stender, Lena6 Götsch, Hans5 Gotsch, Mars4, Peter3 Götsch, Clas2 Gotsche, Peter1 Gotsch)was born Abt. 1951 in Julesburg, Colorado. Barbara Ann married Unknown Wohlfarth. + 2632 i. Katherine Marie11 Wohlfarth, was born 1974. 1939. Brad10 O'Dell (Klaris Gail9 Woolery, Ruth Helena Maria8 Sothmann, Hertha Maria "Hattie"7 Stender, Lena6 Götsch, Hans5 Gotsch, Mars4, Peter3 Götsch, Clas2 Gotsche, Peter1 Gotsch)was born Abt. 1953 in Ottawa, Kansas. 2633 i. Stephanie11 O'Dell, was born October 1976. 2634 ii. 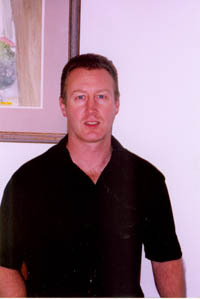 Brett O'Dell, was born 1986. 2635 iii. Cooper O'Dell, was born 2005. 1940. Kent10 O'Dell (Klaris Gail9 Woolery, Ruth Helena Maria8 Sothmann, Hertha Maria "Hattie"7 Stender, Lena6 Götsch, Hans5 Gotsch, Mars4, Peter3 Götsch, Clas2 Gotsche, Peter1 Gotsch) was born October 1956 in Ottawa, Kansas. 2636 i. Brady11 O'Dell, was born 1978. 2637 ii. Colin O'Dell, was born 1980. 2638 iii. Morgan O'Dell, was born 1986. 1949. Lisa Jo Ann10 Gentry (Gerald9, Edna M.8 Bahr, Bertha Magdelena7 Goettsch, Peter Heinrich Christian6 Gotsch, Hans5, Mars4, Peter3 Götsch, Clas2 Gotsche, Peter1 Gotsch) was born January 21, 1976 in Sidney, Nebraska. Lisa Jo Ann married David Paul Fluck on November 21, 1998 in Loveland, Colorado. David was born December 29, 1969 in Brainerd, Minnesota. 2639 i. Ember Jade11 Fluck, was born February 14, 2002 in Custer, South Dakota. 1950. Jolynn Eileen10 Highland (Gwen Carolyn9 Jacobs, Alta Caroline8 Bahr, Bertha Magdelena7 Goettsch, Peter Heinrich Christian6 Gotsch, Hans5, Mars4, Peter3 Götsch, Clas2 Gotsche, Peter1 Gotsch) was born September 9, 1966 in Ogallala, Nebraska. Jolynn Eileen married twice. Jolynn Eileen married Douglas George Hart 1986 in Sidney, Nebraska. Jolynn Eileen married Jim Stewart on January 2, 1998 in Hawaii. Jim was born March 15, 1953. + 2640 i. Amanda Kay11 Hart was born July 6, 1987. 1951. Julie Ann10 Highland (Gwen Carolyn9 Jacobs, Alta Caroline8 Bahr, Bertha Magdelena7 Goettsch, Peter Heinrich Christian6 Gotsch, Hans5, Mars4, Peter3 Götsch, Clas2 Gotsche, Peter1 Gotsch) was born January 5, 1970 in Sidney, Nebraska. Julie Ann married Jerred Berner on July 2, 1994 in Dalton, Nebraska. Jerred was born September 9, 1971 in Omaha, Nebraska. 2641 i. Kaitlyn Anne11 Berner, was born October 9, 1996 in Scottsbluff, Nebraska. 2642 ii. Taylor Lee Berner, was born June 7, 1999 in Sidney, Nebraska. 1953. Michelle Kay10 Highland (Gwen Carolyn9 Jacobs, Alta Caroline8 Bahr, Bertha Magdelena7 Goettsch, Peter Heinrich Christian6 Gotsch, Hans5, Mars4, Peter3 Götsch, Clas2 Gotsche, Peter1 Gotsch) was born August 12, 1972 in Sidney, Nebraska. Michelle Kay married John Jacob Hollatz on July 19, 2008 in Cancún, Mexico. John was born April 15, 1975. 2643 i. Kaylor Marie11 Hollatz, was born July 12, 2009 in Norfolk, Nebraska. 2644 ii. Kinsey Lynn Hollatz, was born December 2, 2010 in Norfolk, Nebraska. 1954. Terence Carl10 Highland (Gwen Carolyn9 Jacobs, Alta Caroline8 Bahr, Bertha Magdelena7 Goettsch, Peter Heinrich Christian6 Gotsch, Hans5, Mars4, Peter3 Götsch, Clas2 Gotsche, Peter1 Gotsch) was born November 6, 1975 in Sidney, Nebraska. Terence Carl married Mandi Rosenbaum. 2645 i. Courtnie Lynn11 Highland, was born November 29, 1995. 1960. Phillip John10 Grabowski (Cynthia Lou9 Bahr, John William8, Bertha Magdelena7 Goettsch, Peter Heinrich Christian6 Gotsch, Hans5, Mars4, Peter3 Götsch, Clas2 Gotsche, Peter1 Gotsch) was born March 27, 1965 in Sidney, Nebraska. 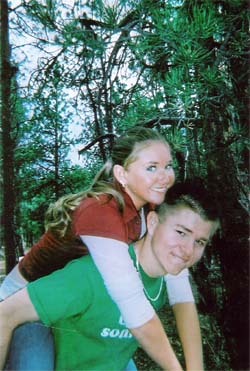 Phillip John married Shanna Deanne Mari on November 11, 1995 in Sidney, Nebraska. Shanna was born January 4, 1966. 2646 i. Dyson Arvin11 Grabowski, was born December 21, 2004 in Sidney, Nebraska. 1961. Sherry Elizabeth10 Grabowski (Cynthia Lou9 Bahr, John William8, Bertha Magdelena7 Goettsch, Peter Heinrich Christian6 Gotsch, Hans5, Mars4, Peter3 Götsch, Clas2 Gotsche, Peter1 Gotsch) was born April 21, 1966 in Sidney, Nebraska. Sherry Elizabeth married Paul Anthony Tocco on March 24, 1983 in Casper, Wyoming. Paul was born December 28, 1963 in Jamaica, Queens, New York. 2647 i. Jacob Anthony11 Tocco, was born November 6, 1985 in Casper, Wyoming. Jacob Anthony married Carlee Michelle Apple on October 11, 2008 in Las Vegas, Nevada. 2648 ii. Aaron Daniel Tocco, was born October 6, 1987 in Albuquerque, New Mexico. + 2649 iii. Sarah Elizabeth Tocco, was born January 14, 1992. 1962. Jody Raedell10 Grabowski (Cynthia Lou9 Bahr, John William8, Bertha Magdelena7 Goettsch, Peter Heinrich Christian6 Gotsch, Hans5, Mars4, Peter3 Götsch, Clas2 Gotsche, Peter1 Gotsch) was born July 22, 1969 in Sidney, Nebraska. Jody Raedell married James Wayne Elkins on January 31, 1986 in Casper, Wyoming James was born October 13, 1958. James died March 9, 2003 in Wyoming at 44 years of age. + 2650 i. Zachary Wayne11 Elkins, was born September 15, 1986. + 2651 ii. Jesse Dean Elkins, was born December 19, 1988. 2652 iii. Mikki Mae Mannillia Elkins, was born October 18, 1995 in Driggs, Idaho. 1963. 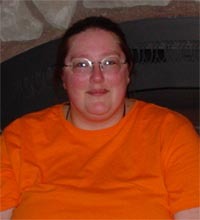 Misty Ann10 Grabowski (Cynthia Lou9 Bahr, John William8, Bertha Magdelena7 Goettsch, Peter Heinrich Christian6 Gotsch, Hans5, Mars4, Peter3 Götsch, Clas2 Gotsche, Peter1 Gotsch) was born August 19, 1970 in Sidney, Nebraska. Misty Ann married three times. Misty Ann married Jamie Lee Dewitt June 13, 1992 in Casper, Wyoming. Misty Ann married Bret Lee Vance on September 11, 1993 in Las Vegas, Nevada. Misty Ann married Damon Lee Mason on November 29, 1996 in Las Vegas, Nevada. 2653 i. Courtney Sage11 Mason, was born February 19, 1997 in Scottsbluff, Nebraska. 2654 ii. Hunter Mason, was born December 13, 1998. 1964. 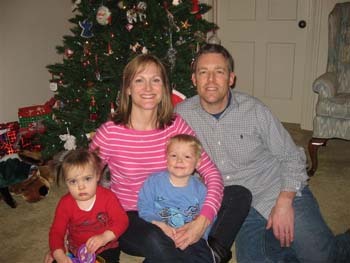 Shauna Eileen10 Hutchison (Donna Lee9 Bahr, John William8, Bertha Magdelena7 Goettsch, Peter Heinrich Christian6 Gotsch, Hans5, Mars4, Peter3 Götsch, Clas2 Gotsche, Peter1 Gotsch) was born January 20, 1970 in Sidney, Nebraska. Shauna Eileen married twice. 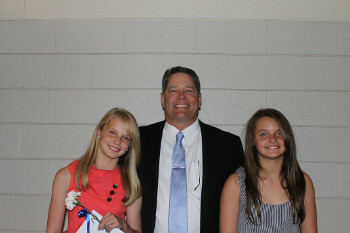 Shauna Eileen married Kurt Faessler. Shauna Eileen married Shawn Michael Ernest on February 10, 1995 in Dalton, Nebraska. Shawn was born September 2, 1966 in Sidney, Nebraska. Shawn died August 25, 2007 in Dalton, Nebraska at 40 years of age. 2655 i. Paul Michael11 Ernest, was born December 18, 1994 in Sidney, Nebraska. Paul died January 9, 1999 in Sidney, Nebraska at 4 years of age. 2656 ii. Adreanna Eileen Ernest, was born September 14, 1997 in Scottsbluff, Nebraska. 2657 iii. Cole Faessler, was born August 10, 2002 in Scottsbluff, Nebraska. 1965. Lisa Renae10 Palmer (Jodene Lynette9 Bahr, John William8, Bertha Magdelena7 Goettsch, Peter Heinrich Christian6 Gotsch, Hans5, Mars4, Peter3 Götsch, Clas2 Gotsche, Peter1 Gotsch) was born January 31, 1973 in Sidney, Nebraska. 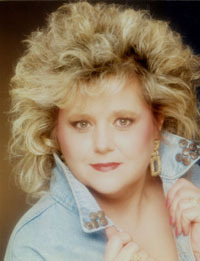 Lisa Renae married John Aaron Soto on April 22, 1995 in Las Vegas, Nevada. John was born November 30, 1963. 2658 i. Owen Ray11 Soto, was born March 27, 1996 in Sidney, Nebraska. 2659 ii. Ethan Michael Soto, was born March 11, 1999 in Sidney, Nebraska. 2660 iii. Alex John Soto, was born December 22, 2000 in Sidney, Nebraska. 2961 iv. Alaina Renae Soto, was born October 23, 2003 in Sidney, Nebraska. 1966. 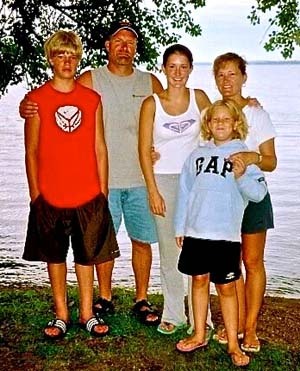 Jaime Lyn10 Palmer (Jodene Lynette9 Bahr, John William8, Bertha Magdelena7 Goettsch, Peter Heinrich Christian6 Gotsch, Hans5, Mars4, Peter3 Götsch, Clas2 Gotsche, Peter1 Gotsch) was born July 17, 1976 in Sidney, Nebraska. Jaime Lyn married Jason Clark Rogers on April 10, 2004. Jason was born January 30, 1975. 2662 i. Westin Clark11 Rogers, was born April 13, 2006 in Kansas City, Missouri. 2663 ii. 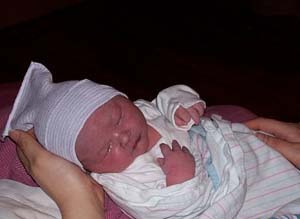 Ellianna Elizabeth Rogers, was born July 24, 2008 in Kansas City, Missouri. 1967. 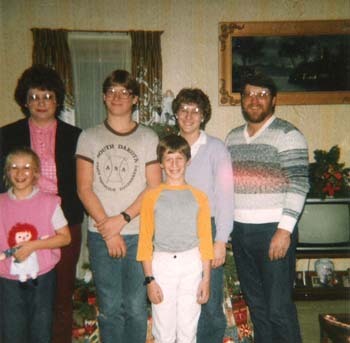 Michael Jo10 Palmer (Jodene Lynette9 Bahr, John William8, Bertha Magdelena7 Goettsch, Peter Heinrich Christian6 Gotsch, Hans5, Mars4, Peter3 Götsch, Clas2 Gotsche, Peter1 Gotsch) was born April 13, 1979 in Sidney, Nebraska. Michael Jo married Megan Lea Van Newkirk on September 13, 2003 in Sidney, Nebraska. Megan was born April 29, 1978. 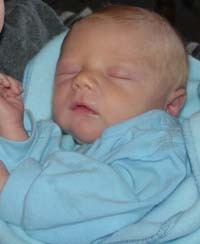 2664 i. Kanon William11 Palmer, was born May 27, 2006 in Scottsbluff, Nebraska. 2665 ii. 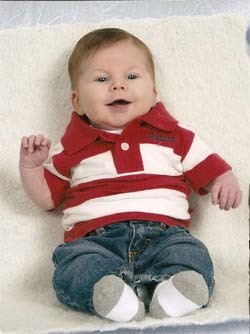 Kreyton Michael Palmer, was born August 11, 2009 in Scottsbluff, Nebraska. 1968. Stephanie Laurel10 Bruns (Lori Ann9 Bahr, John William8, Bertha Magdelena7 Goettsch, Peter Heinrich Christian6 Gotsch, Hans5, Mars4, Peter3 Götsch, Clas2 Gotsche, Peter1 Gotsch) was born August 3, 1983 in Sidney, Nebraska. Stephanie Laurel married twice. Stephanie Laurel married Kevin Camera. Stephanie Laurel married Nicholas M. Dadgostar. 2666 i. Laurel J.11 Dadgostar, was born October 4, 2008. 1976. Heather Lynn10 Stockwell (Susan Lynn9 Gottsch, Louis Henry8, Henry George7 Gottsch, Peter Heinrich Christian6 Gotsch, Hans5, Mars4, Peter3 Götsch, Clas2 Gotsche, Peter1 Gotsch) was born July 8, 1972. 2667	i. Austin Tyler11 , was born July 7, 1997. 1977. Tricia Lynn10 Stockwell (Susan Lynn9 Gottsch, Louis Henry8, Henry George7 Gottsch, Peter Heinrich Christian6 Gotsch, Hans5, Mars4, Peter3 Götsch, Clas2 Gotsche, Peter1 Gotsch) was born May 16, 1973. Tricia Lynn married Jeffrey Morency. 2668 i. Brianne Lynn11 Morency, was born March 18, 2005. 2669 ii. Alise Lynn Morency, was born January 4, 2008. 1978. David Allen10 Dotson (Joanne Kay9 Gottsch, Louis Henry8, Henry George7 Gottsch, Peter Heinrich Christian6 Gotsch, Hans5, Mars4, Peter3 Götsch, Clas2 Gotsche, Peter1 Gotsch). David Allen married Gena Unknown. 1993. Ashley Marie10 Hoffmann (Melanie Sue9 Linden, Jean Marie8 Gottsch, Henry George7, Peter Heinrich Christian6 Gotsch, Hans5, Mars4, Peter3 Götsch, Clas2 Gotsche, Peter1 Gotsch), was born January 13, 1983 in Belleville, Illinois. Ashley Marie married Timothy James Reno on October 13, 2007. Timothy was born September 25, 1983 in Youngstown, Ohio. 2672 i. Timothy James11 Reno Jr. was born November 21, 2010 in Clayton, Missouri. 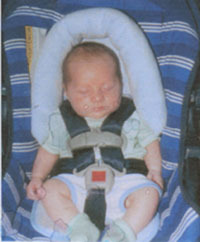 Timothy died November 21, 2010 in Clayton, Missouri at less than one day of age. Timothy James Reno, Jr., infant son of Timothy James Reno, Sr. and Ashley M. (Hoffmann) Reno of Belleville, died shortly after birth on November 21, 2010 at St. Mary Health Center in Clayton, MO. In addition to his parents, he is survived by his grandparents, Melanie S. Jasper and her husband Mark C. Jasper of New Baden, Marc O. Hoffmann and his wife Elaine W. Hoffmann of New Baden, Marilyn Reno of Mascoutah, and Robert M. Reno and his wife Chickie Kelley of Jacksonville, FL; his great-grandparents, Jean M. Linden of Caseyville, Dr. George W. Linden and his wife Dr. Eva D. Ferguson of Edwardsville, Olin F. and Eileen L. Hoffmann of New Baden, and Robert J. and Florence E. Reno of Pensacola, FL; a step uncle, Brian Schell and his wife Sandra and an aunt, Melissa A. Reno and her fiancé, Christopher M. Dunn. He was preceded in death by great-grandparents, Eileen E. and Nicholas Shewchyn. 2000. Tonya10 Gottsch (Tony L.9, Darold Glenn8, Henry George7 Gottsch, Peter Heinrich Christian6 Gotsch, Hans5, Mars4, Peter3 Götsch, Clas2 Gotsche, Peter1 Gotsch) was born in Bozeman, Montana.